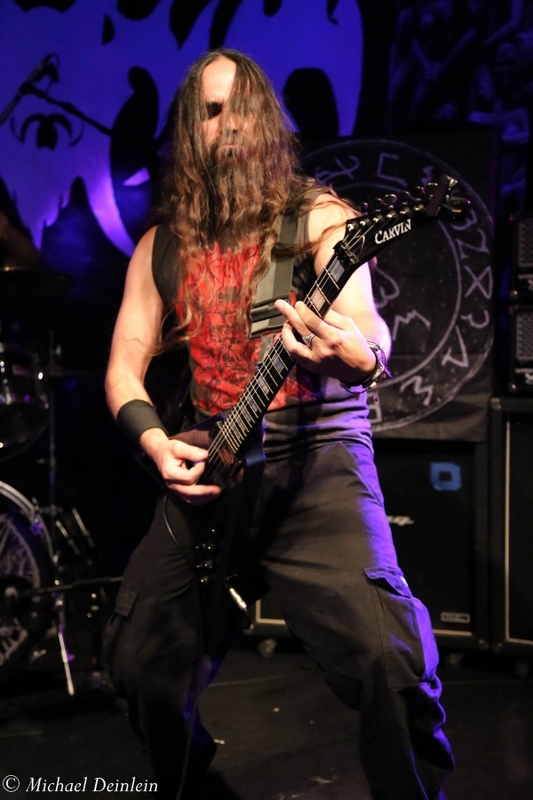 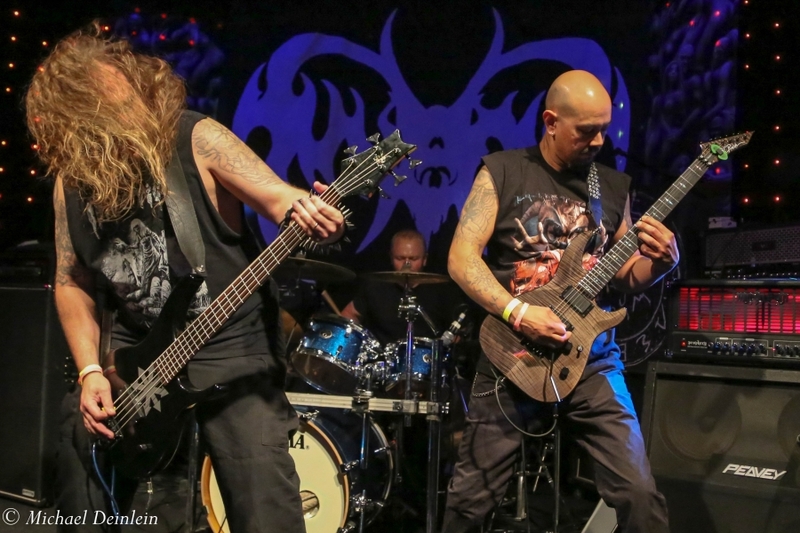 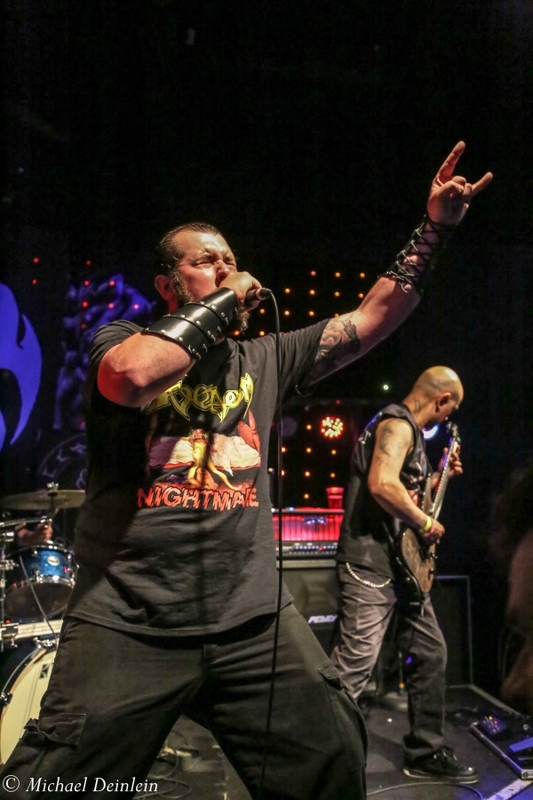 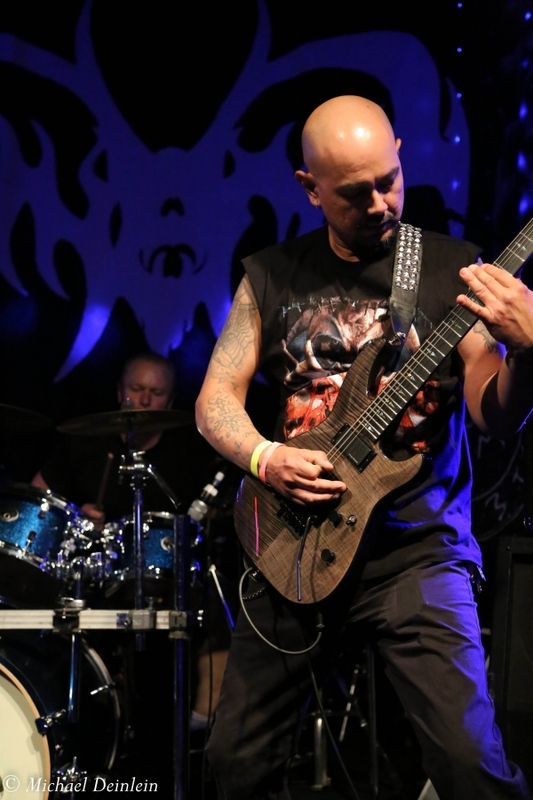 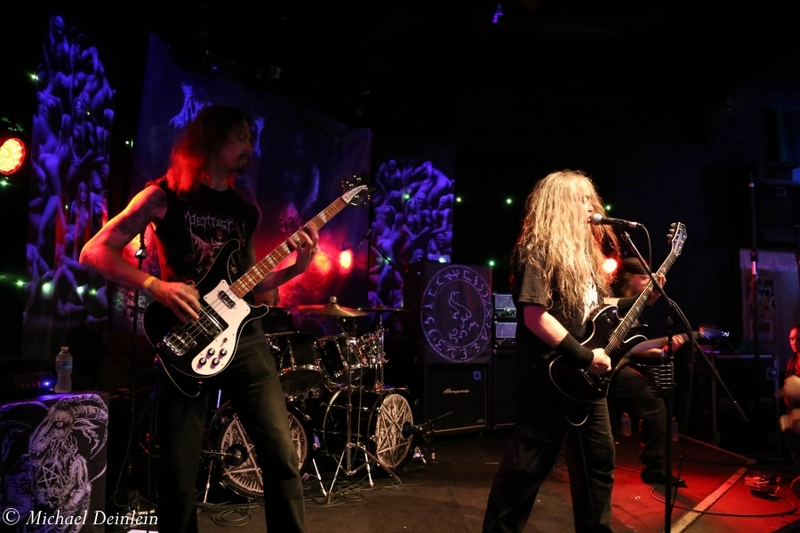 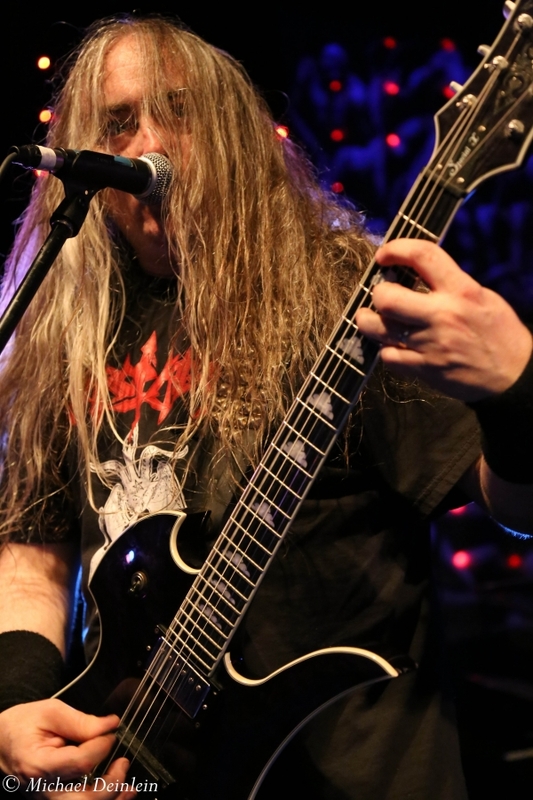 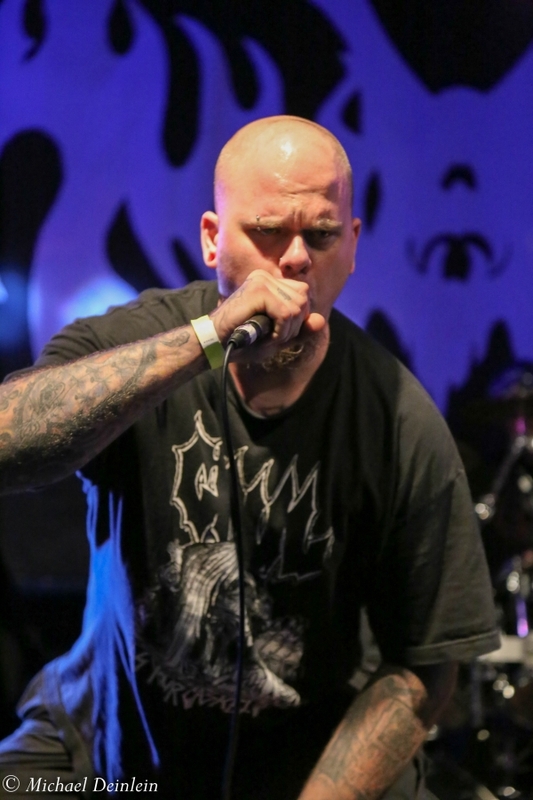 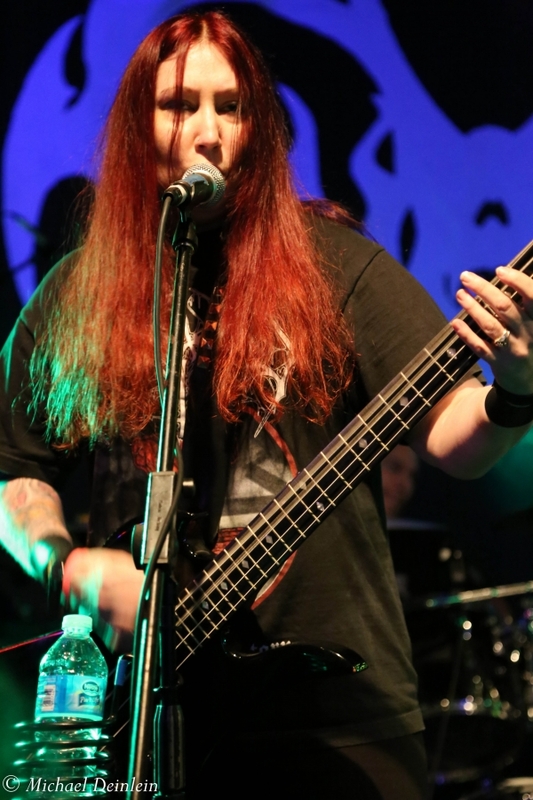 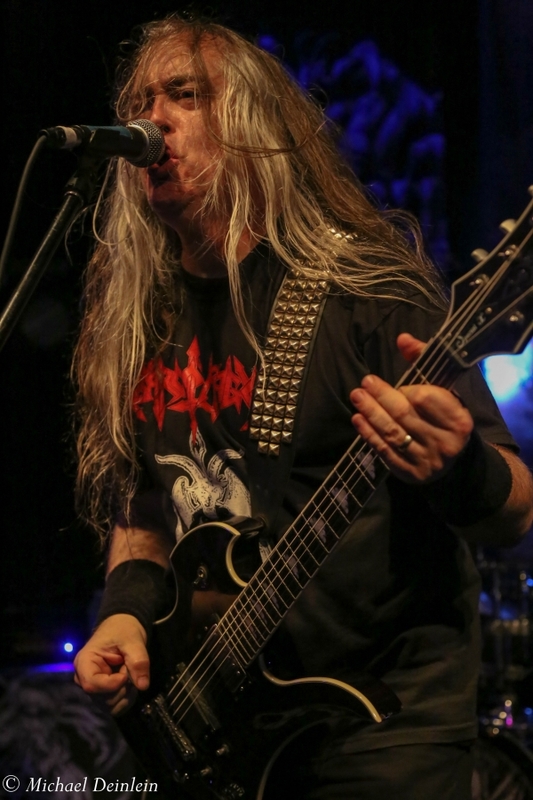 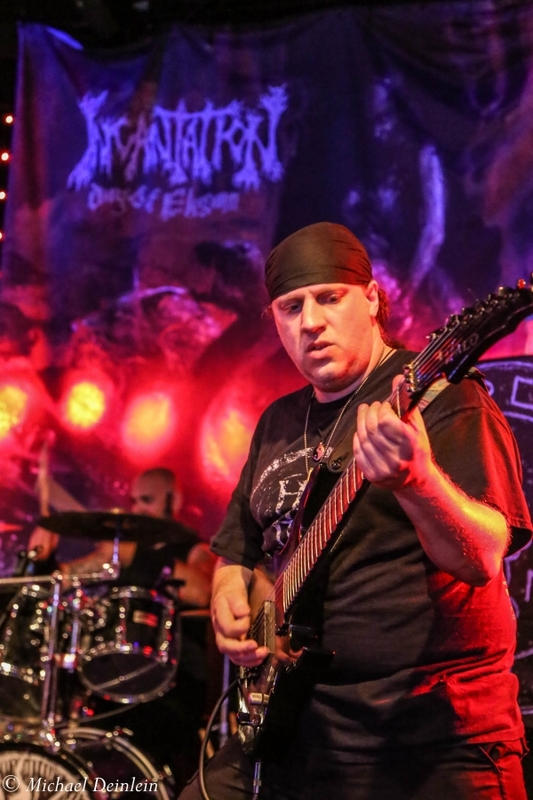 Death Metal icon, Incantation performs on the Expo Five second stage with supporting acts Funerus, Abomination, and others. 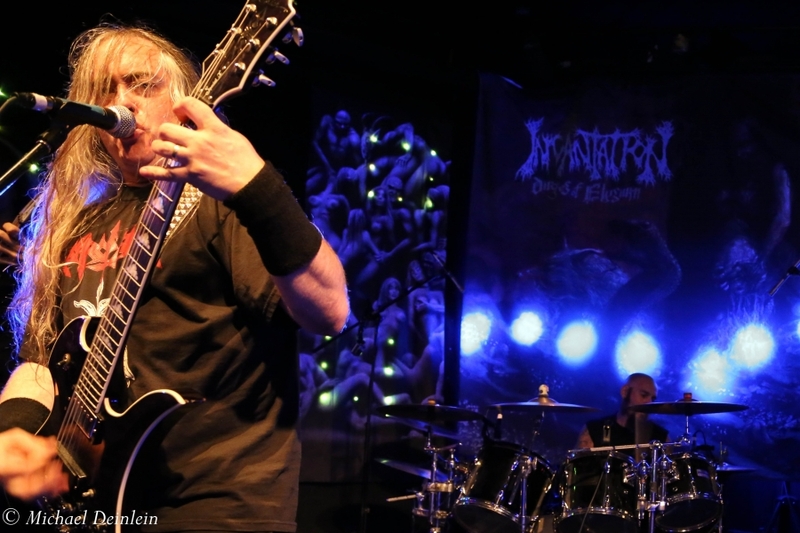 HeadlinerÂ IncantationÂ treated a small, butÂ veryÂ fortunate group of death metal fans in Louisville to a night to remember. 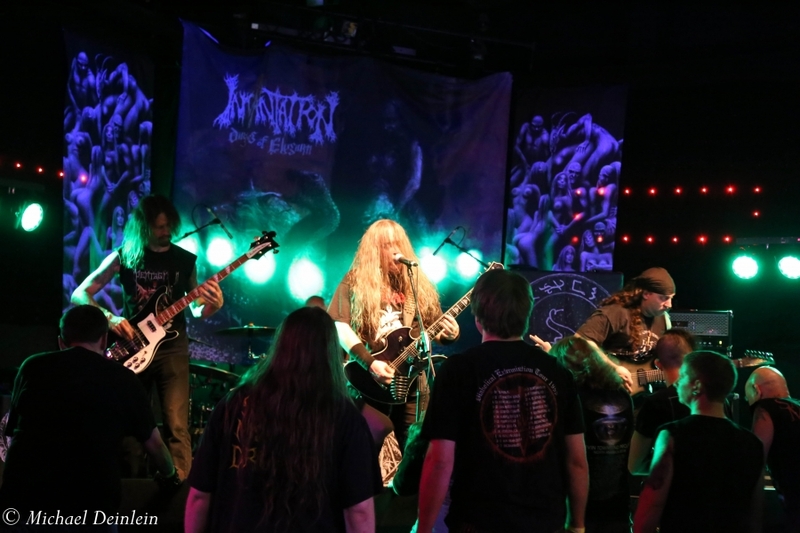 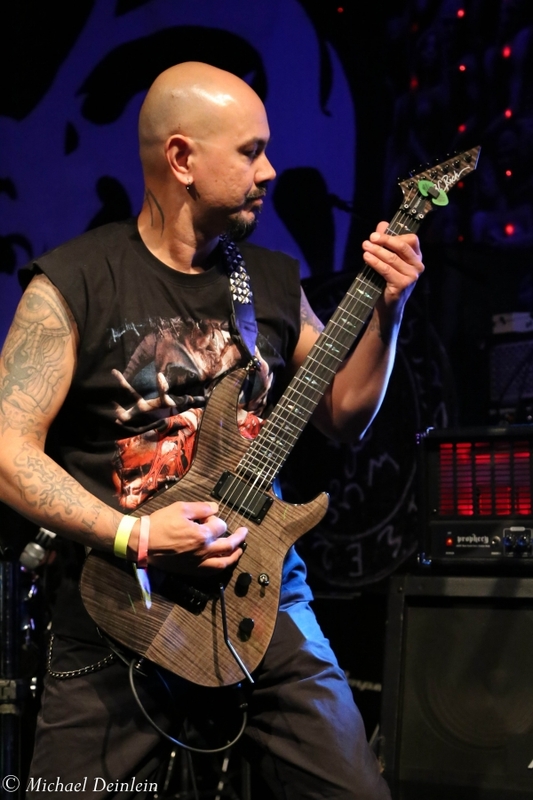 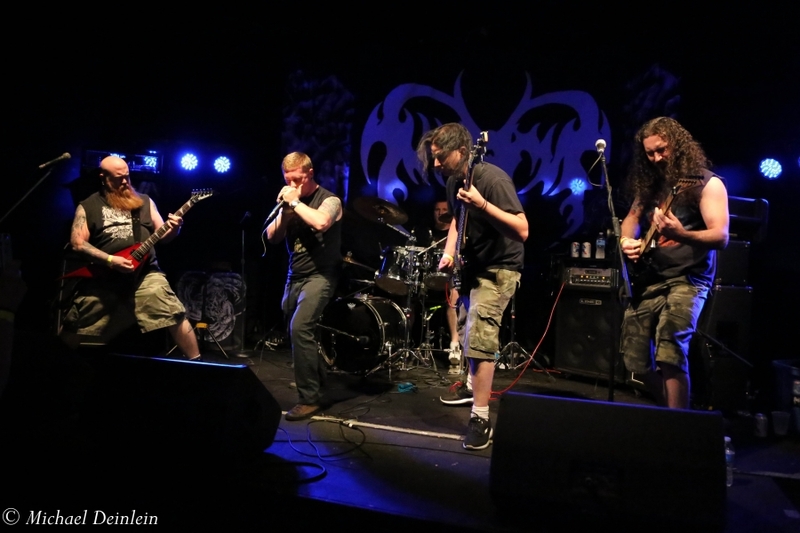 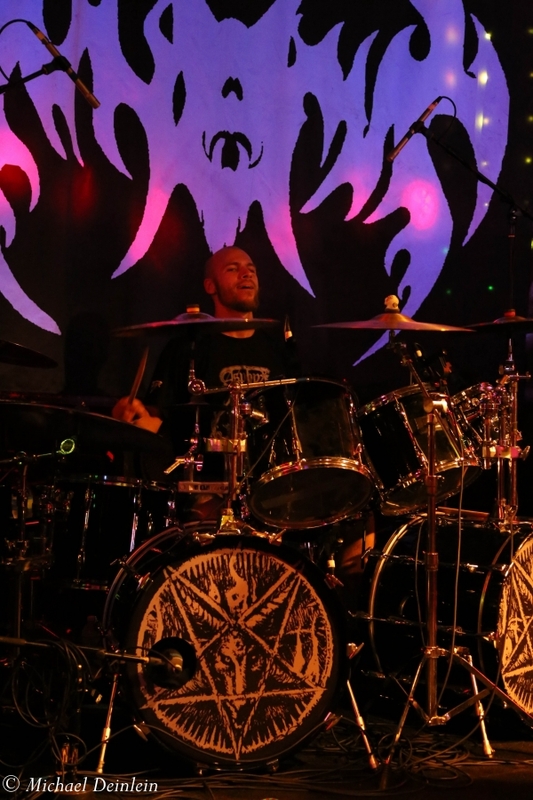 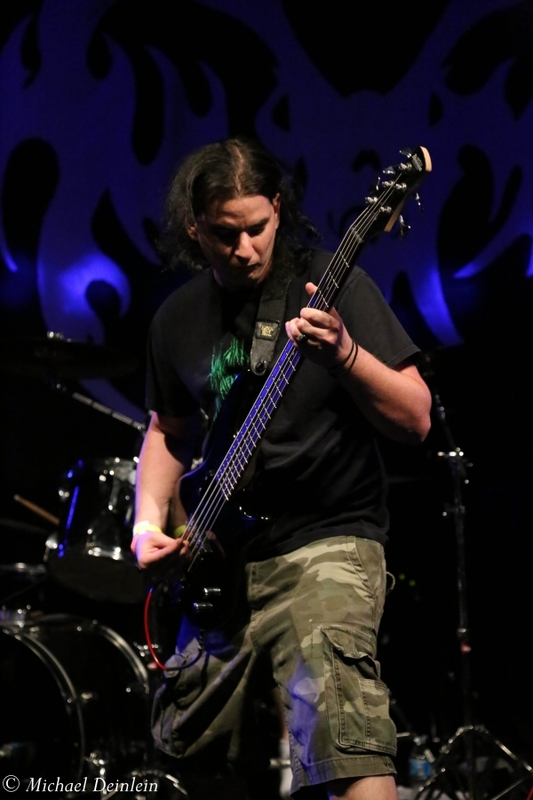 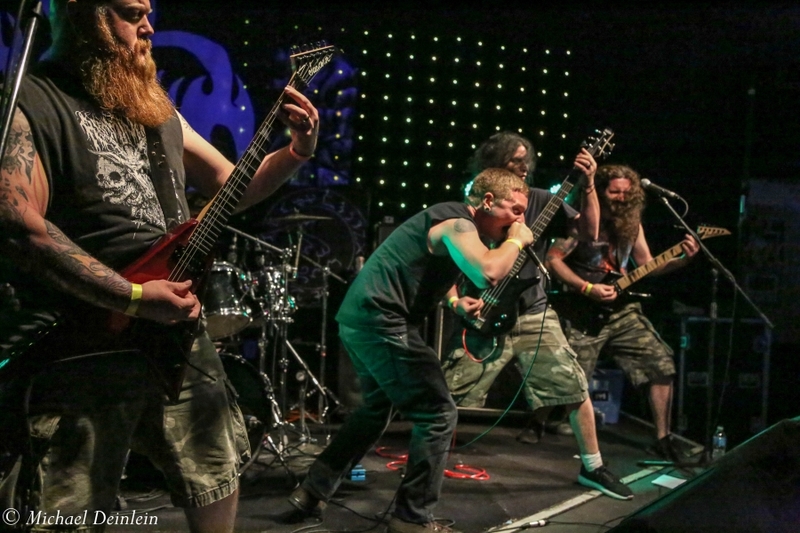 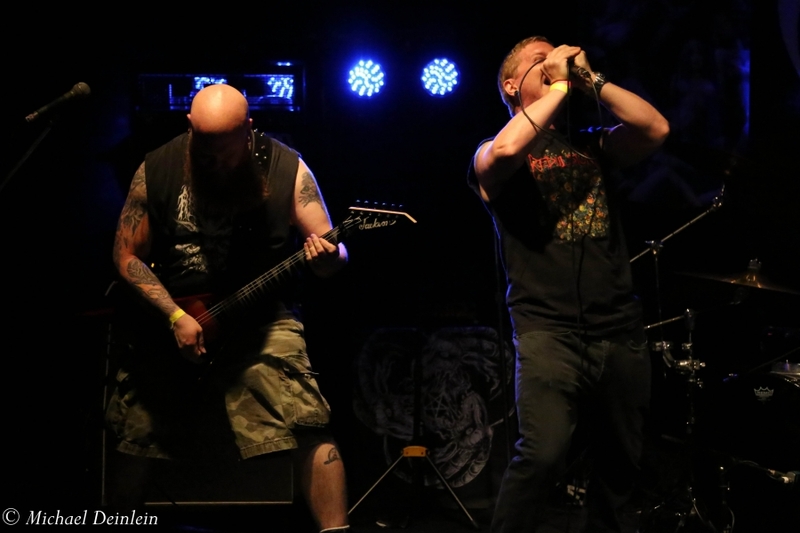 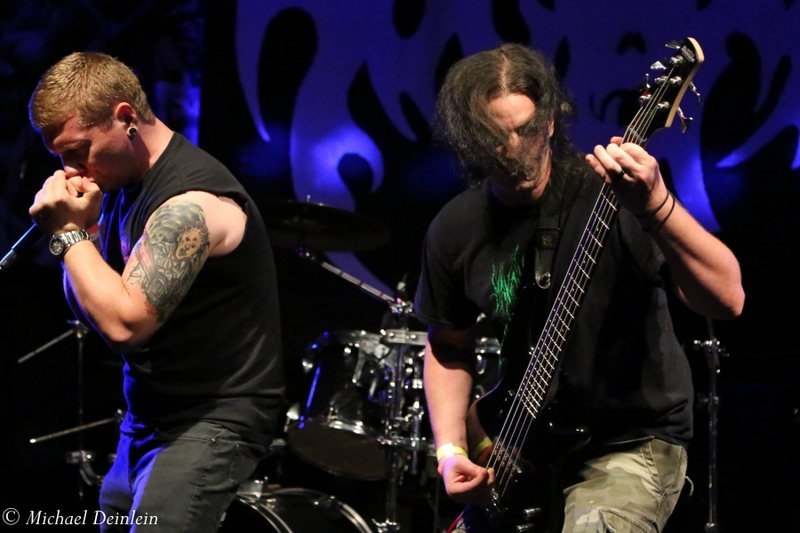 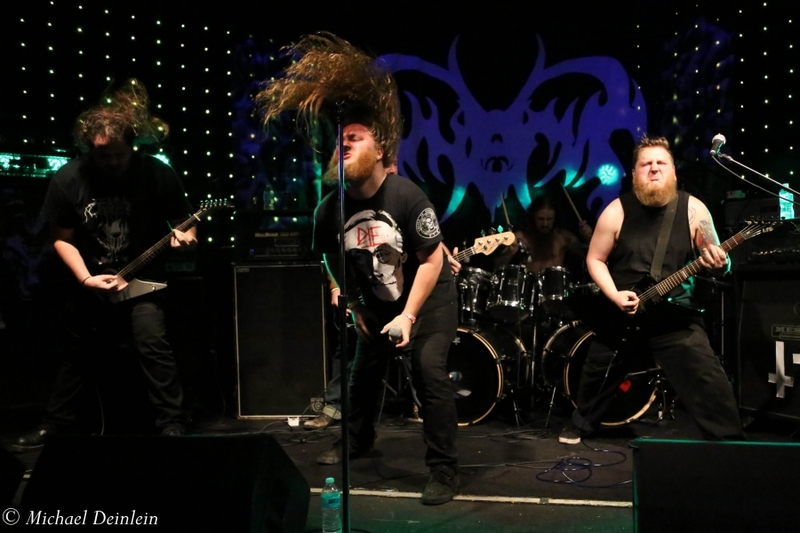 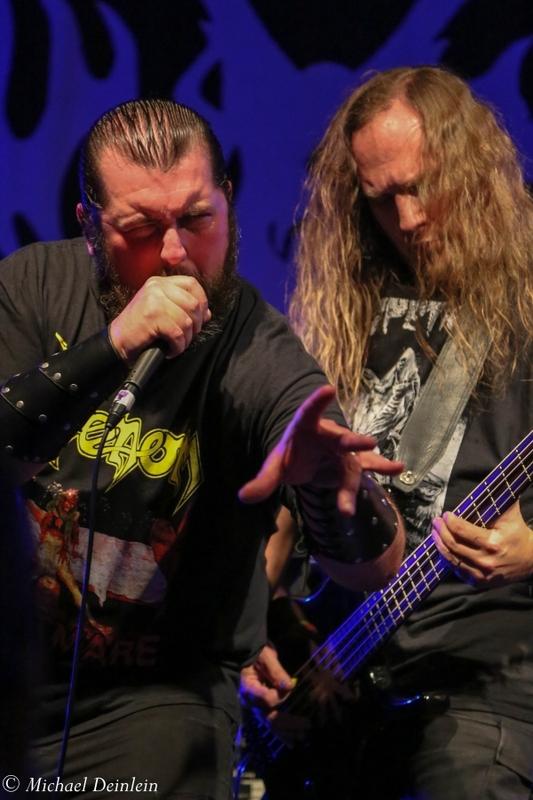 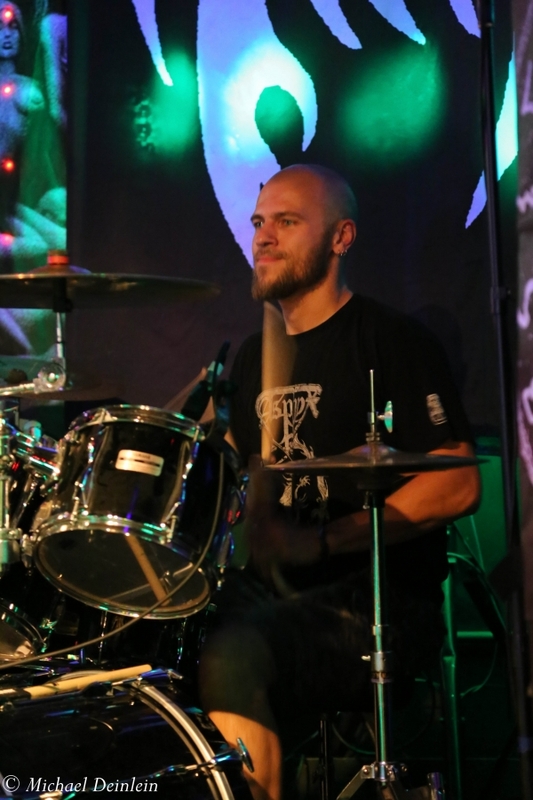 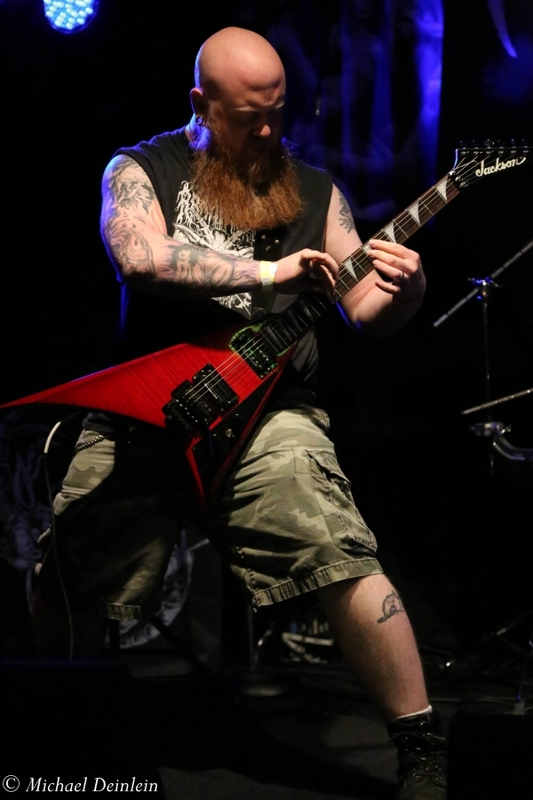 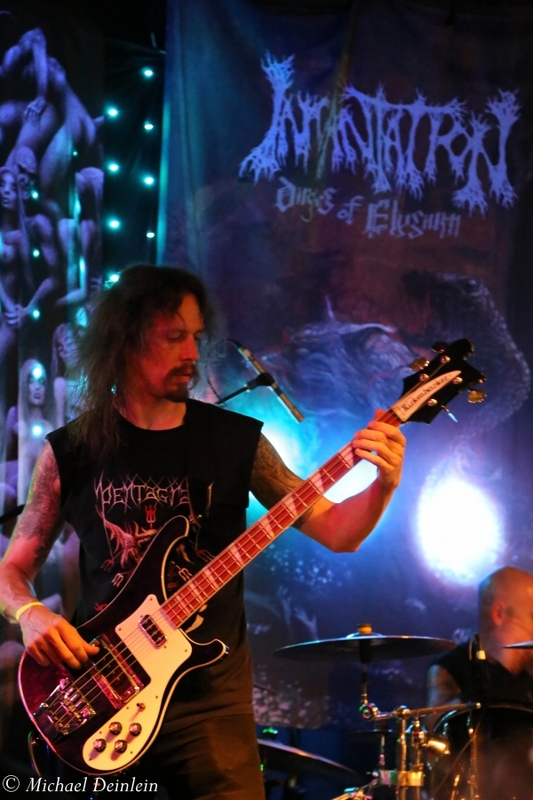 Touring in support of last year’s release of Dirges of Elysium, Incantation hit the Expo Five stage hard and never stopped delivering their brand of crushing death metal. 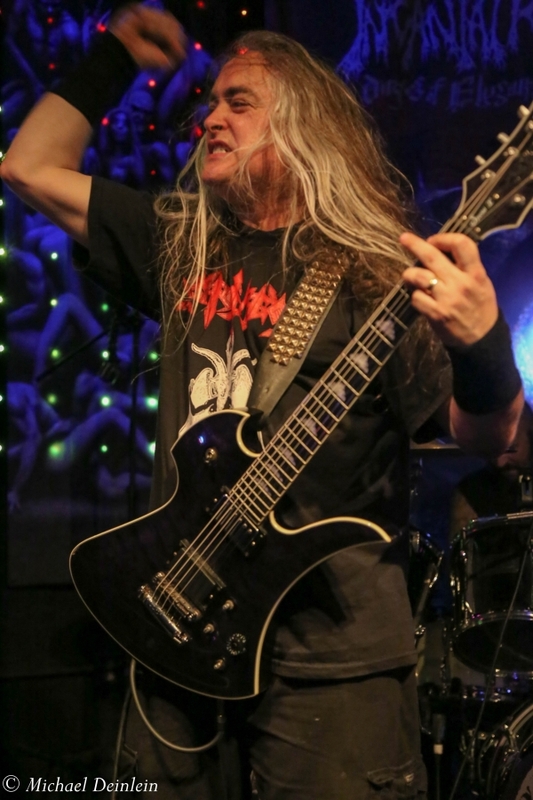 Even though the room was less than full, those in attendance were giving the band their all, moshing and thrashing around while Incantation was grinding out song after song. 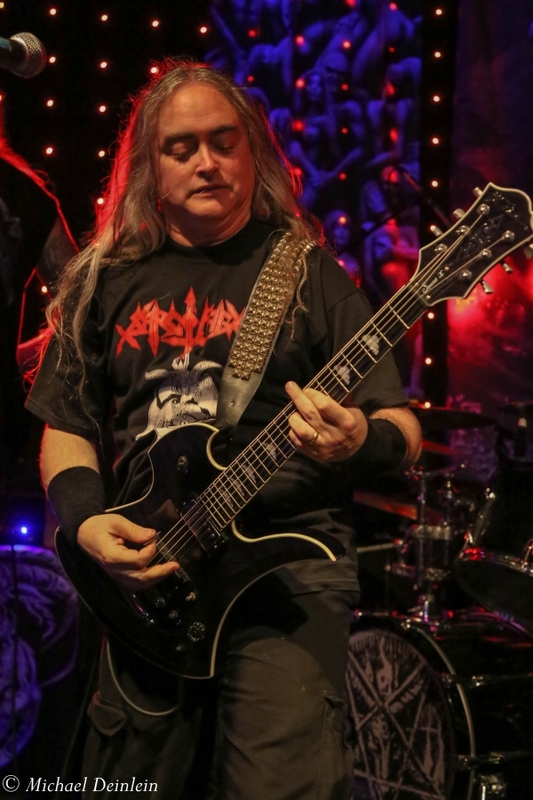 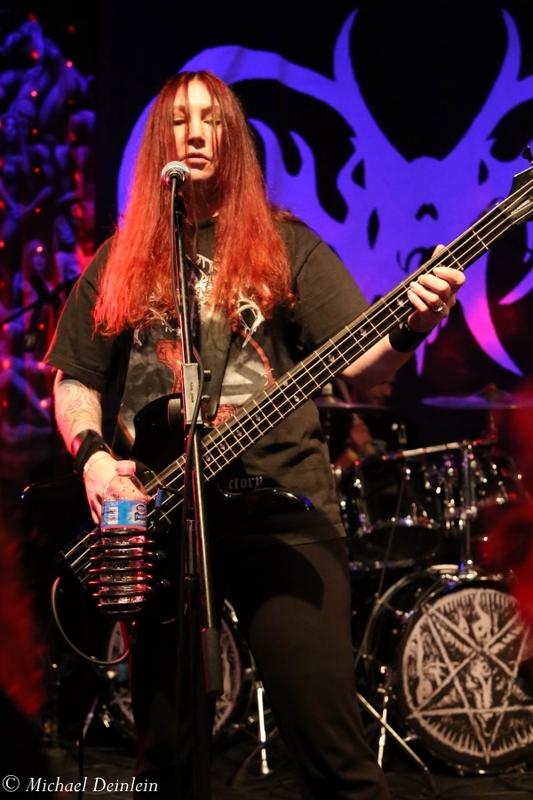 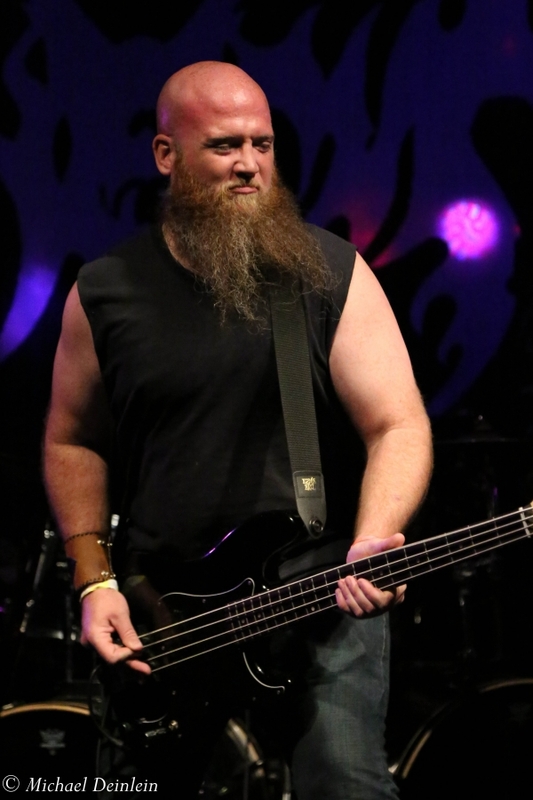 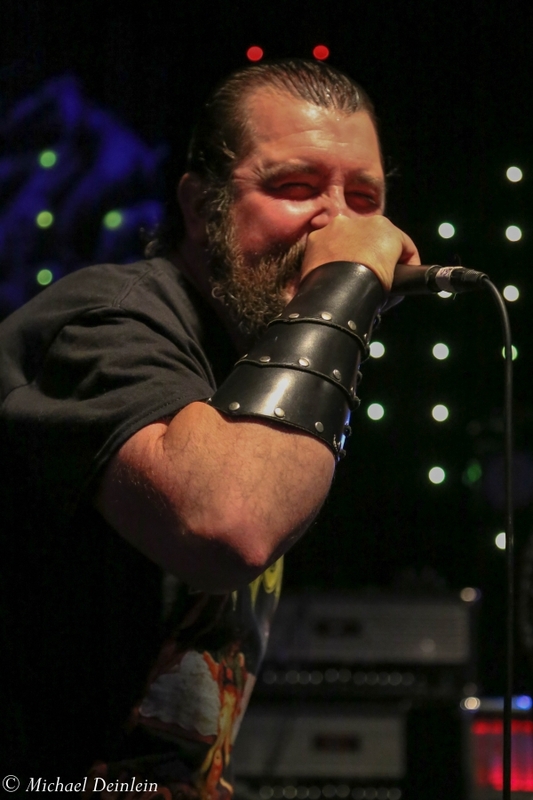 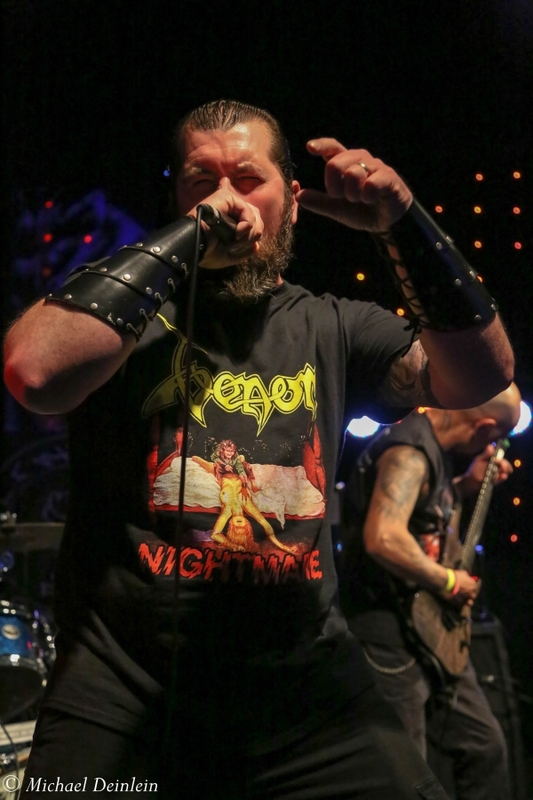 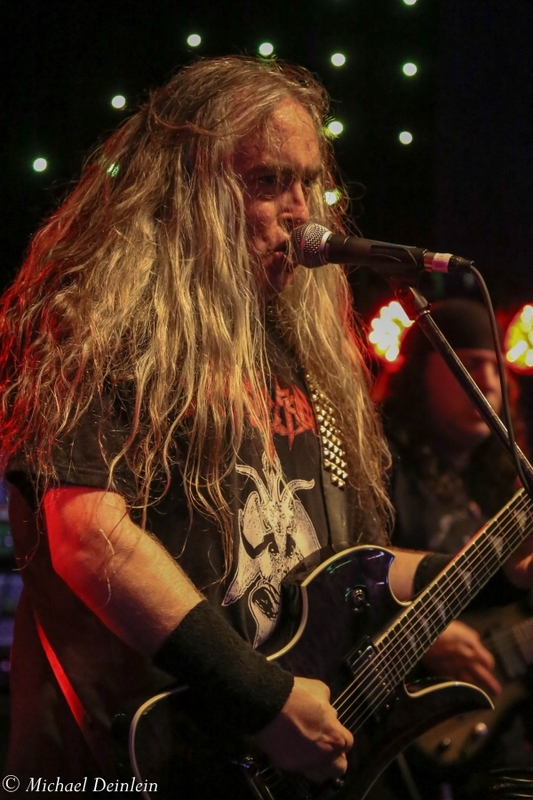 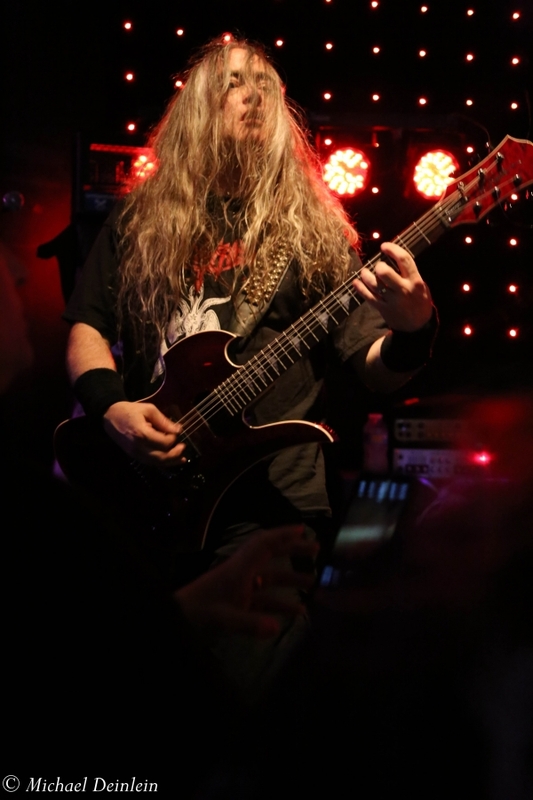 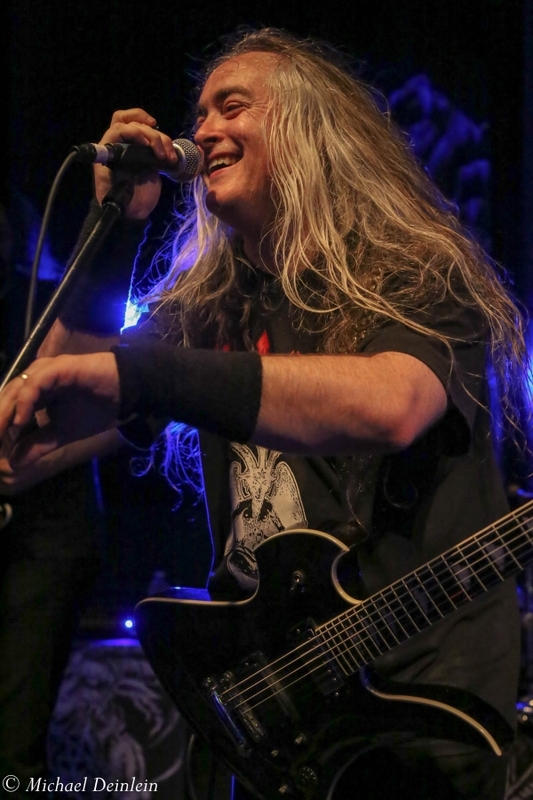 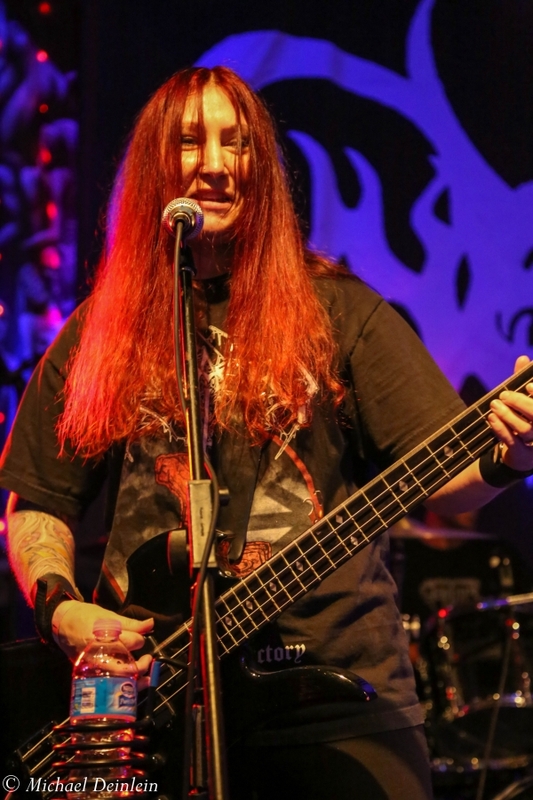 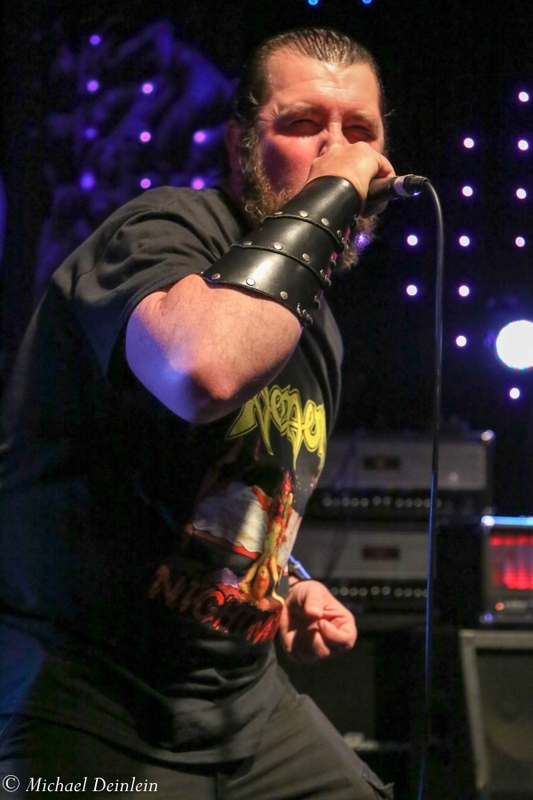 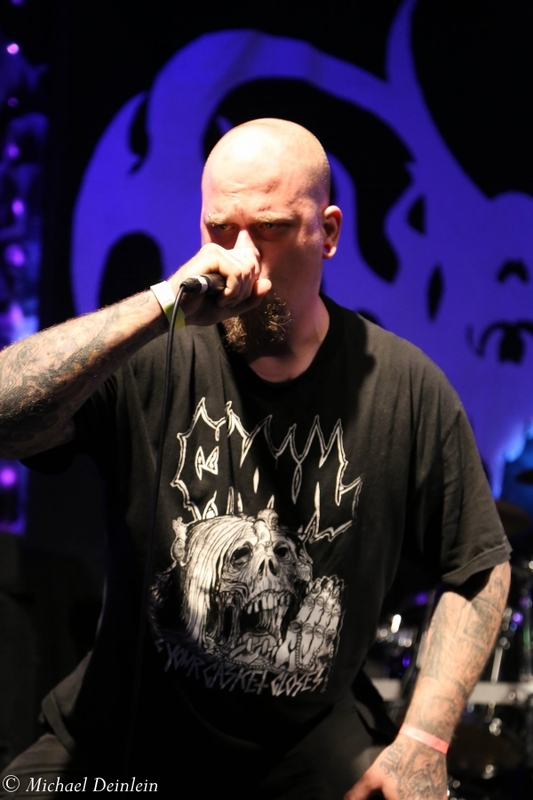 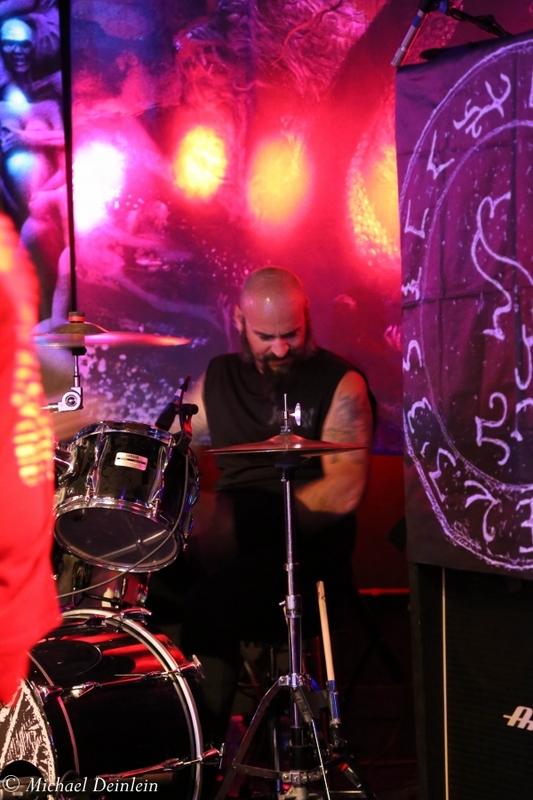 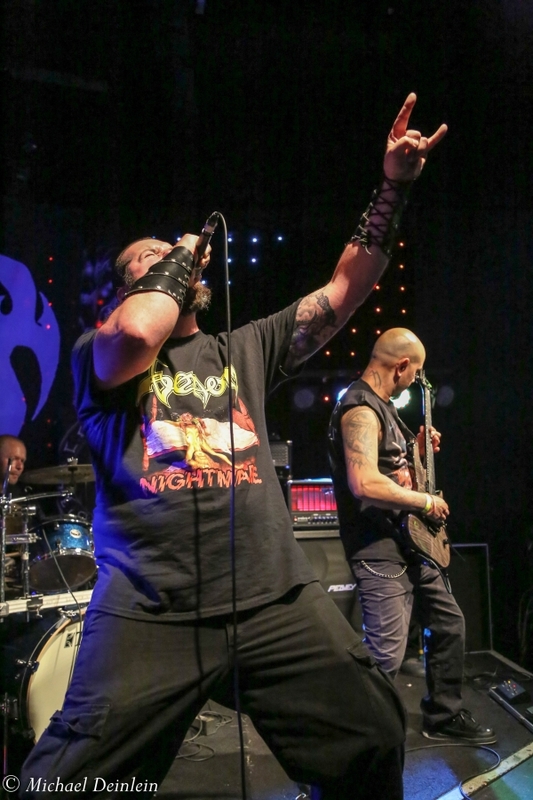 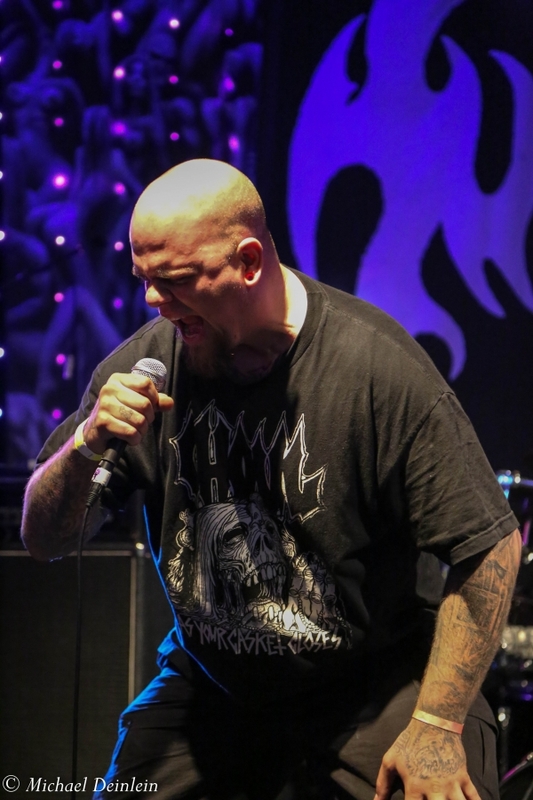 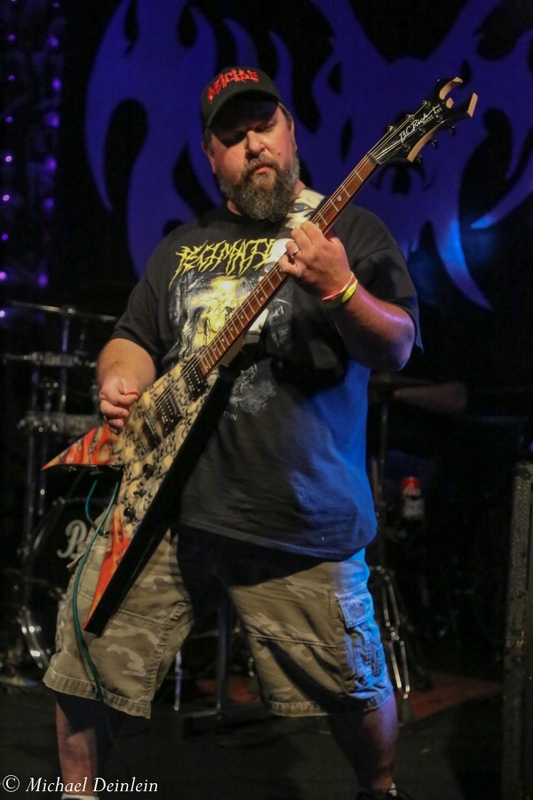 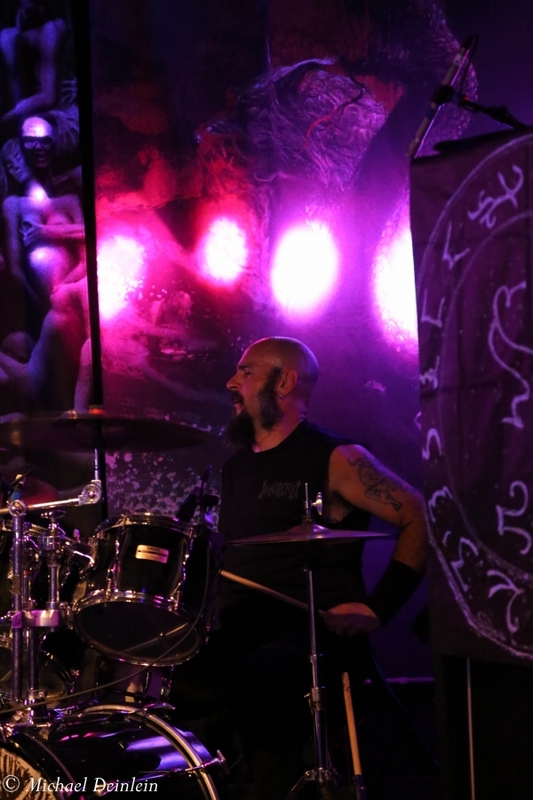 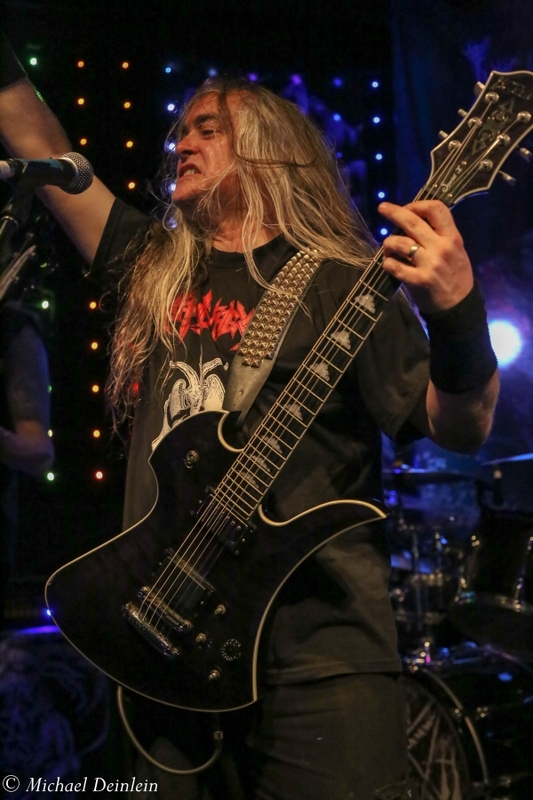 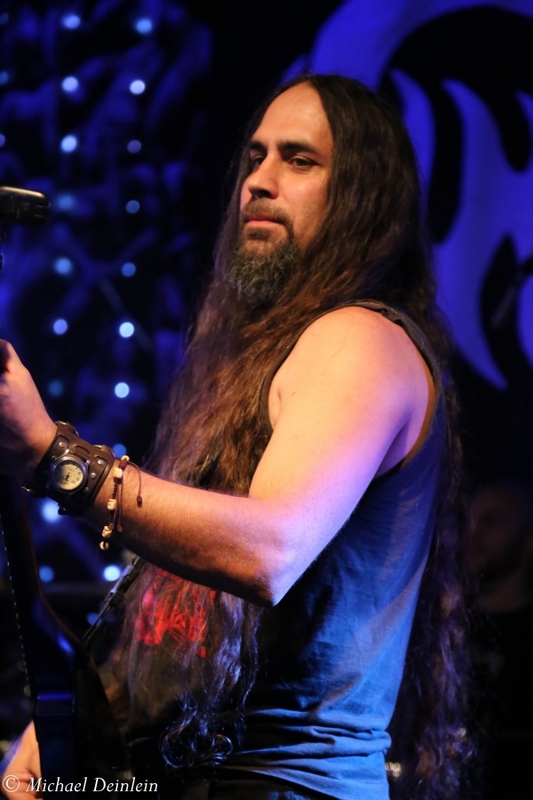 Lead singer John McEntee remarked that Incantation has been performing for more than 25 years, and he was obviously enjoying himself while ripping through an intense, almost 90 minute set. 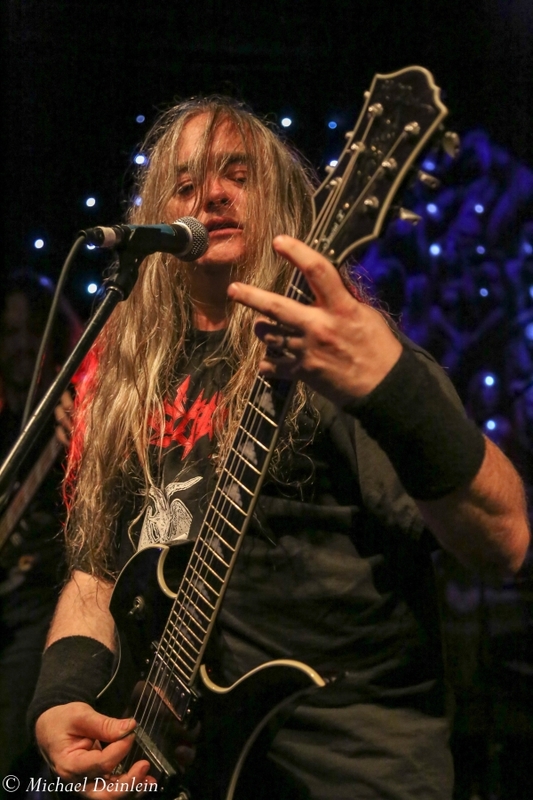 Incantation delivered a fitting end to an epic evening of death/doom metal for the lucky fans at Expo Five’s Death Metal Fest where seven groups shared the stage and provided more than five hours of music.Â Incantation consists of band members John McEntee (vocals/guitar), Sonny Lombarozzi (guitar), Chuck Sherwood (bass), and Kyle “The Carcass” Severn (drums). 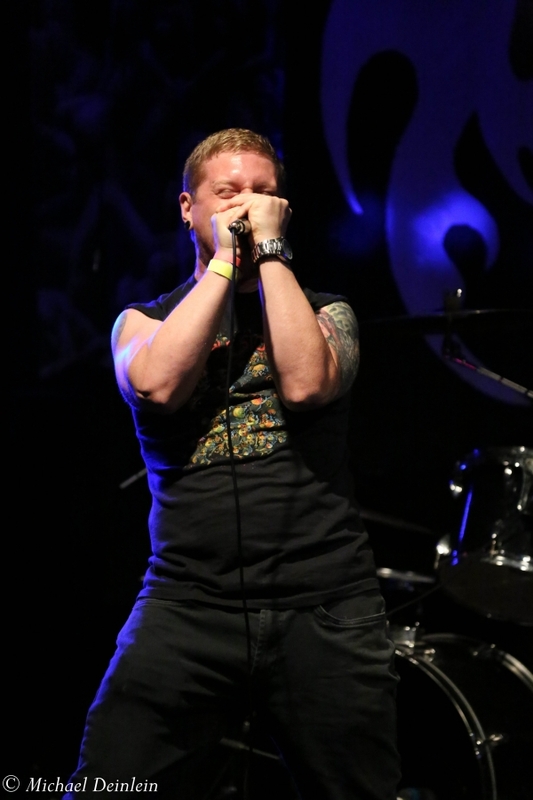 Female fronted Funerus, from Pennsylvania preceded headliner Incantation. 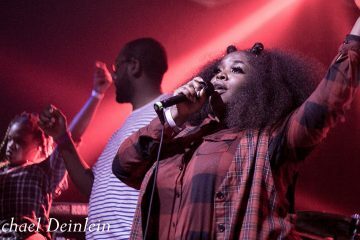 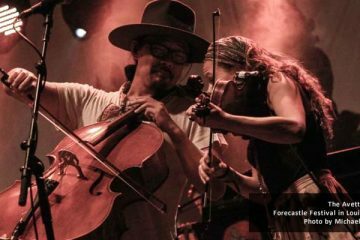 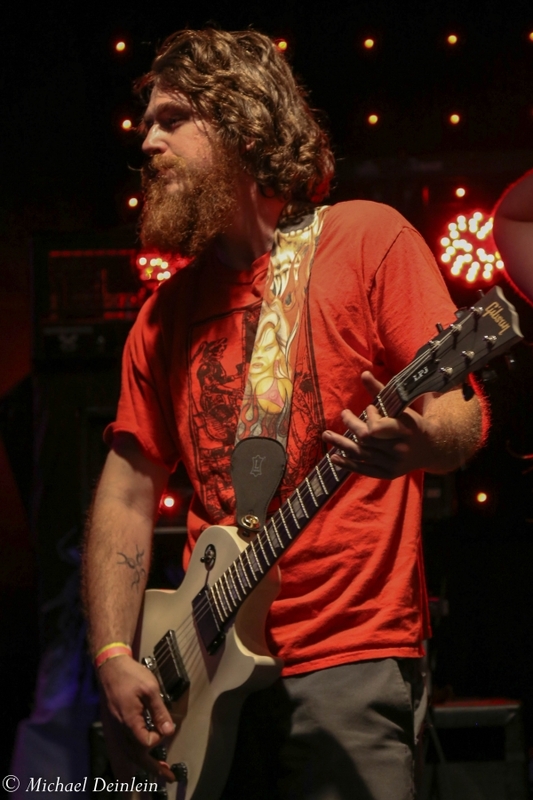 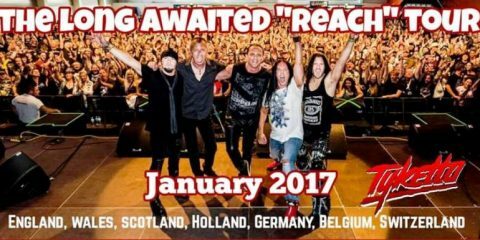 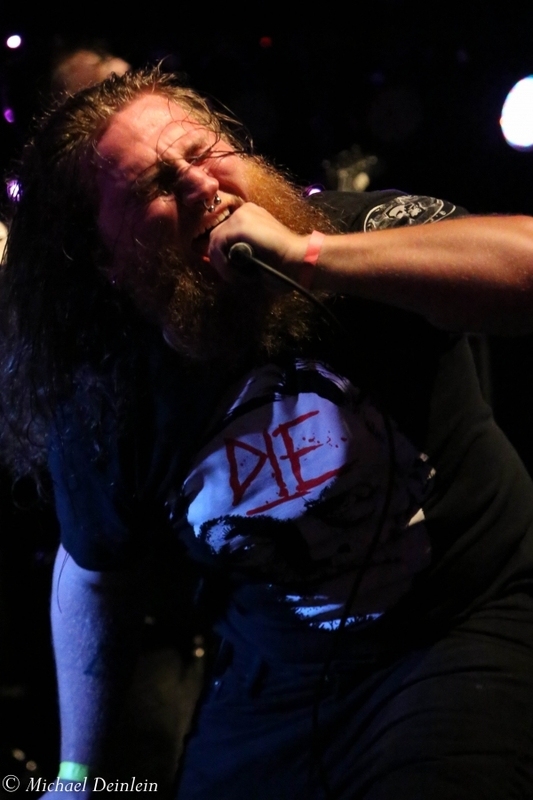 They performed their brand of self-proclaimed “low end sewage death metal” to a willing crowd. 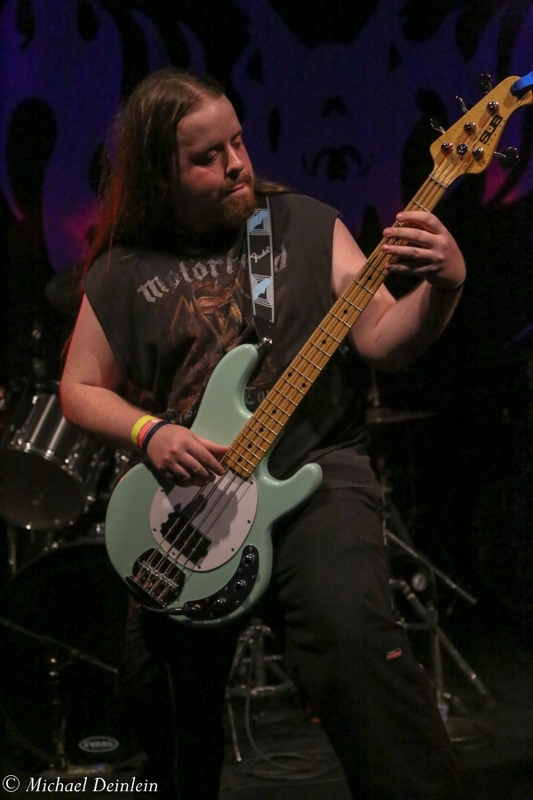 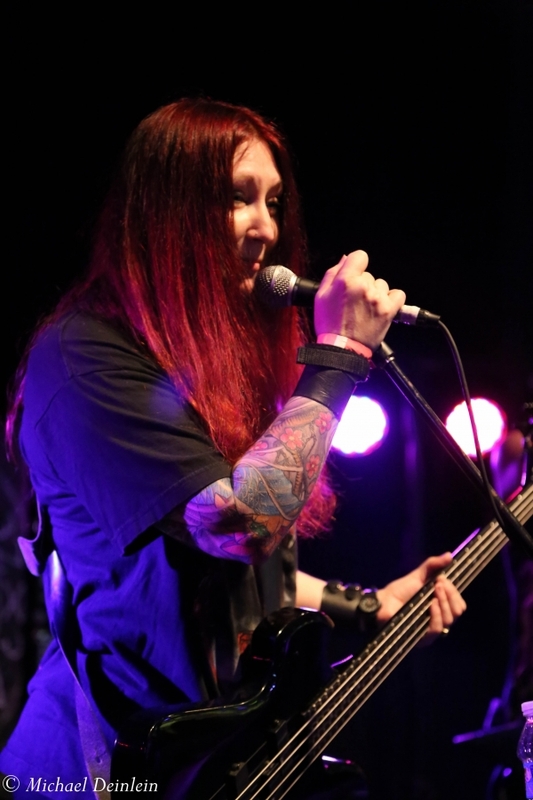 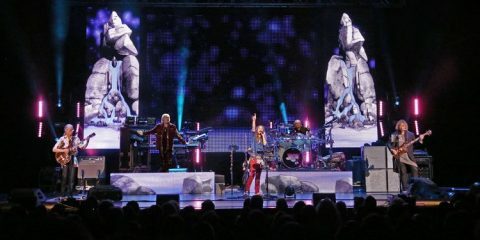 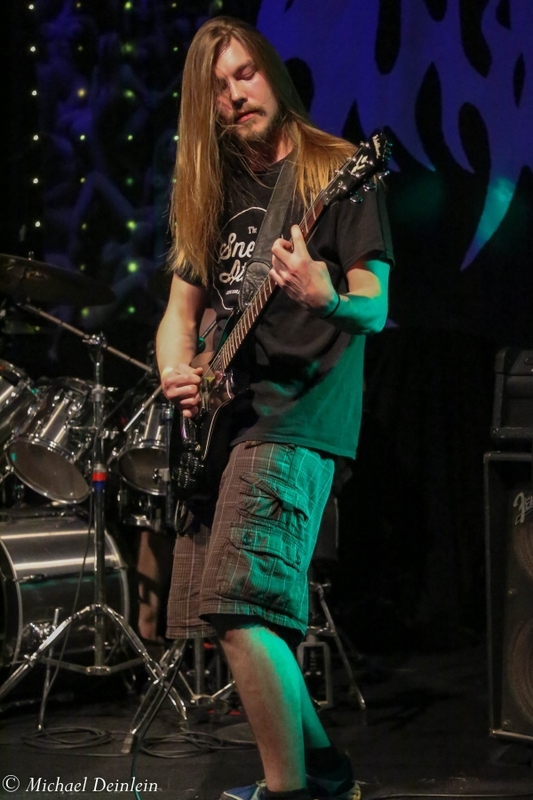 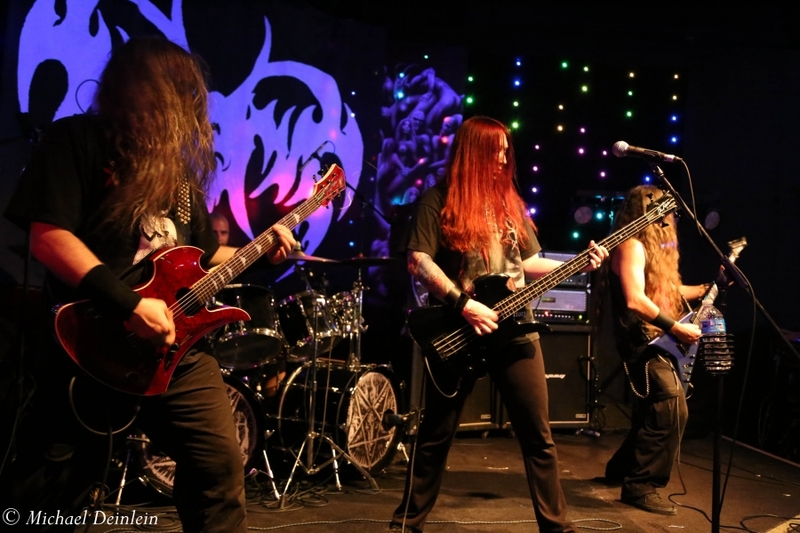 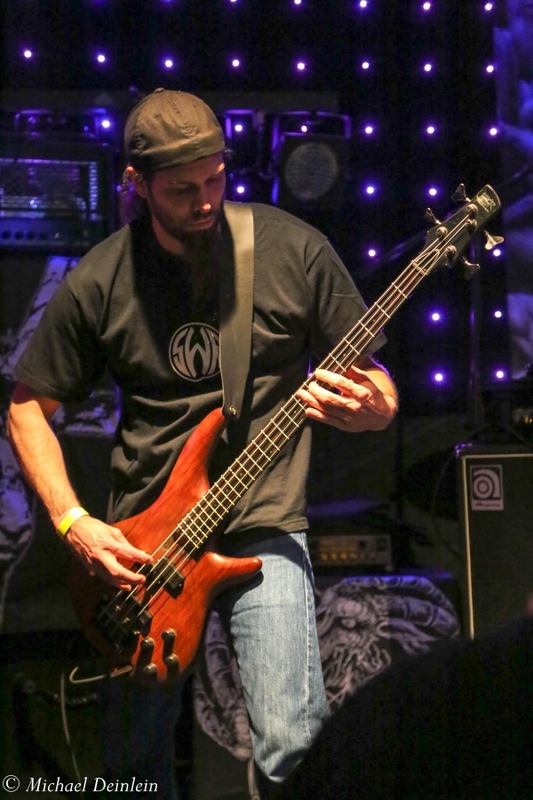 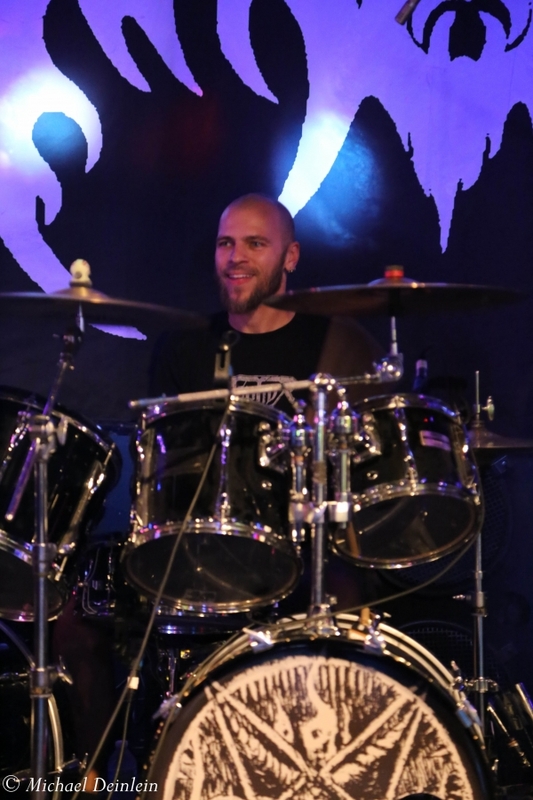 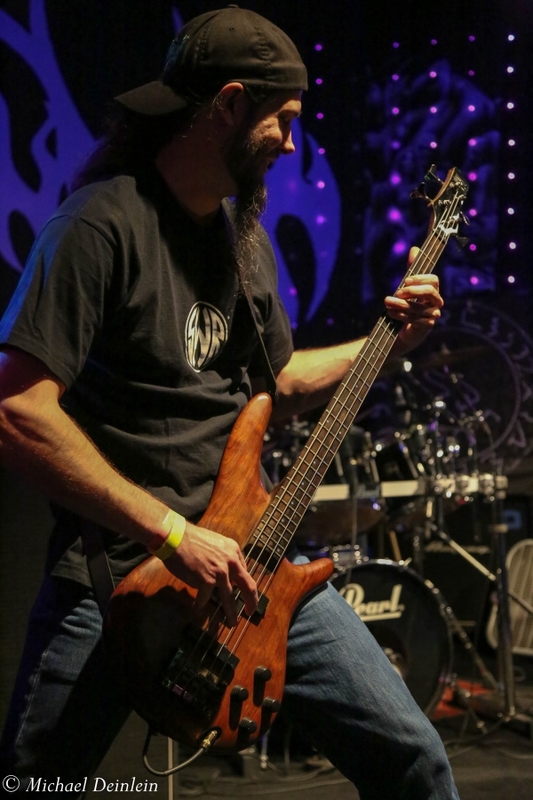 Funerus isÂ comprised of Jill McEntee (bass/vocals), John McEntee (guitar),Â Barry T Hatchett Mull (guitar), and Pat Carroll (drums). 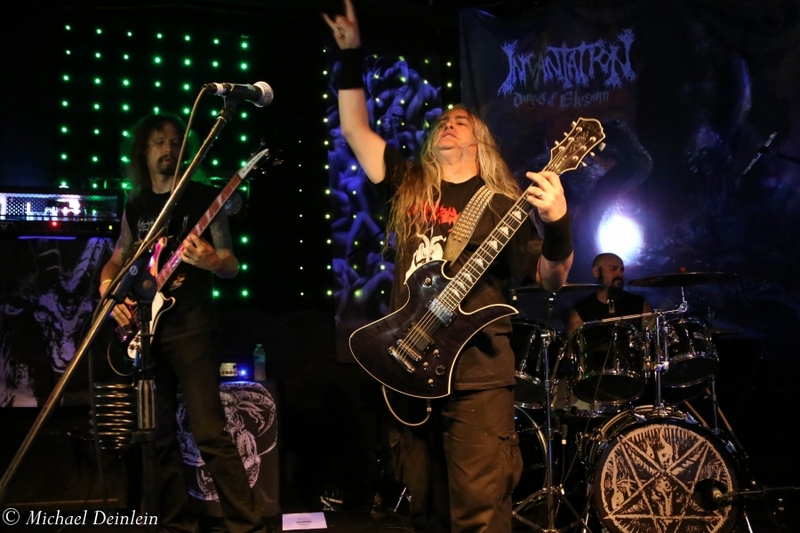 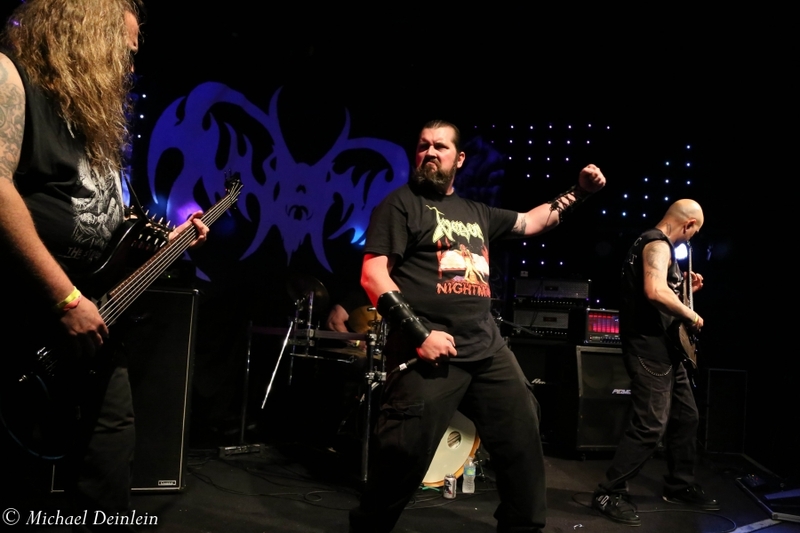 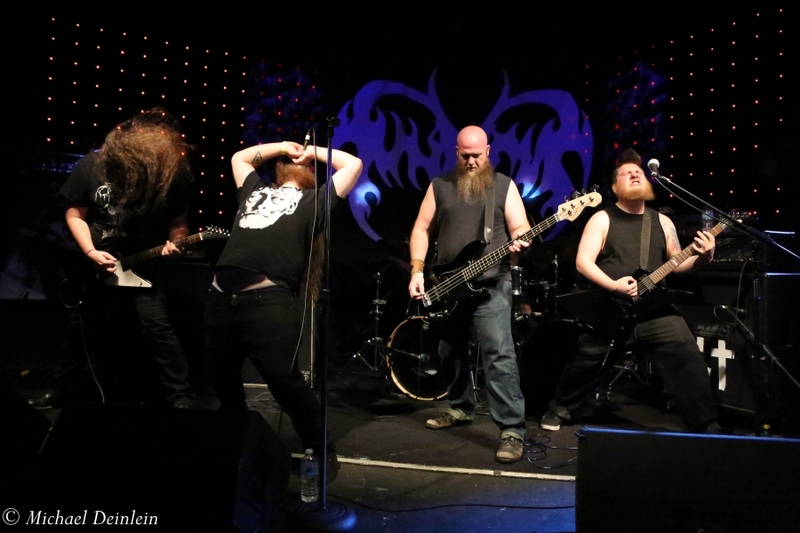 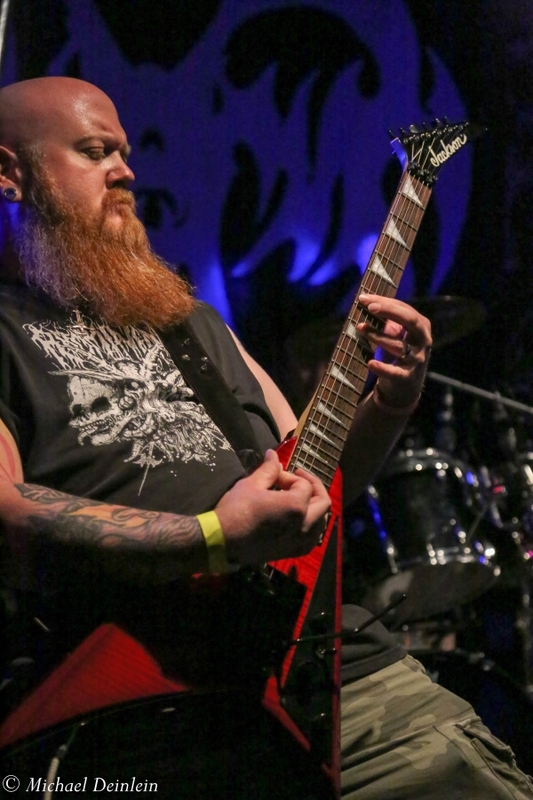 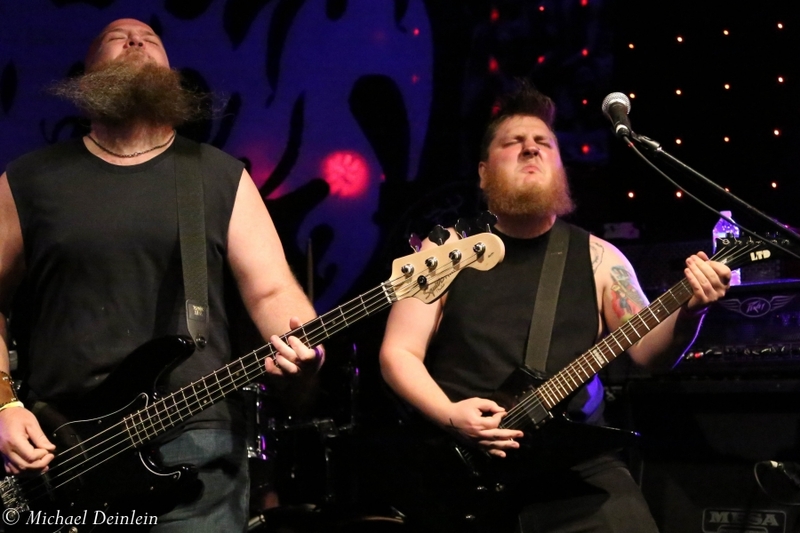 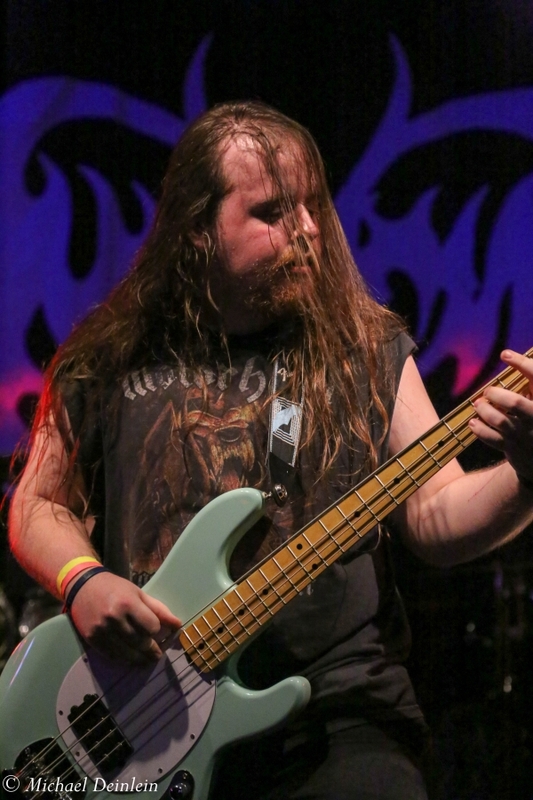 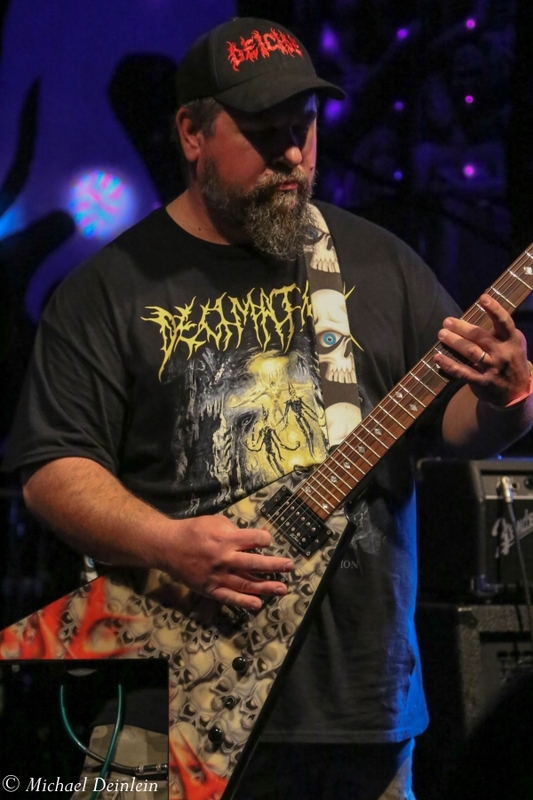 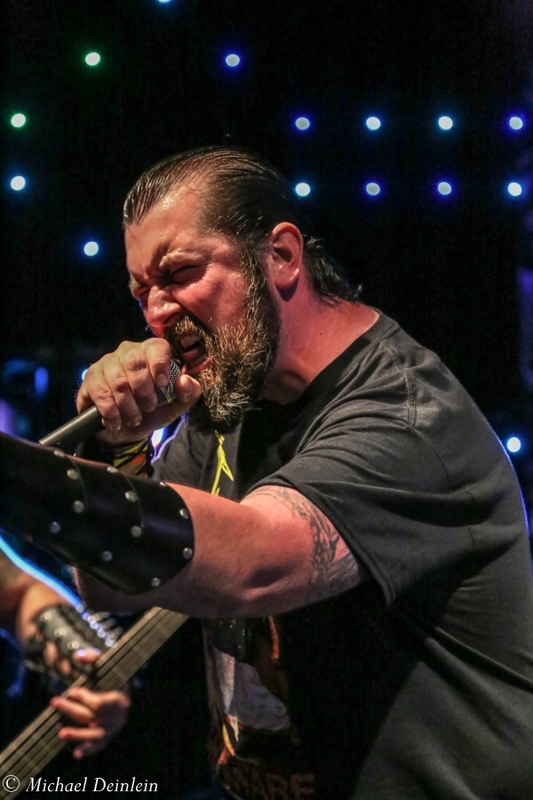 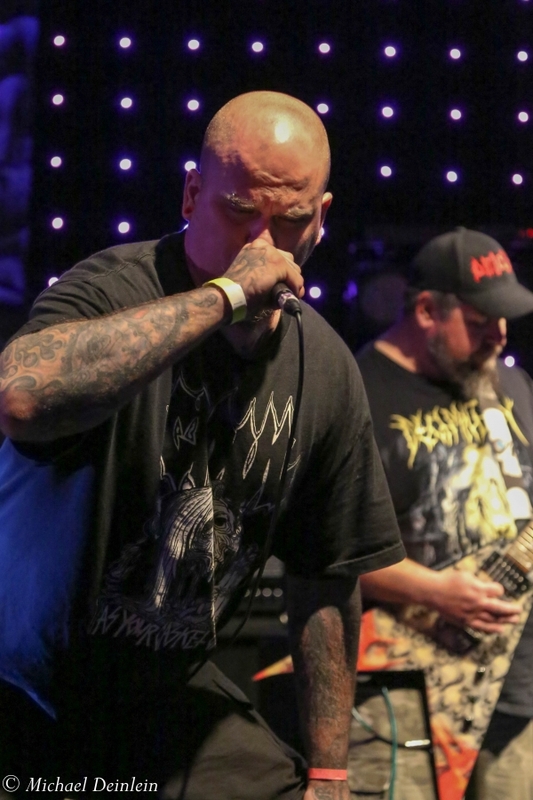 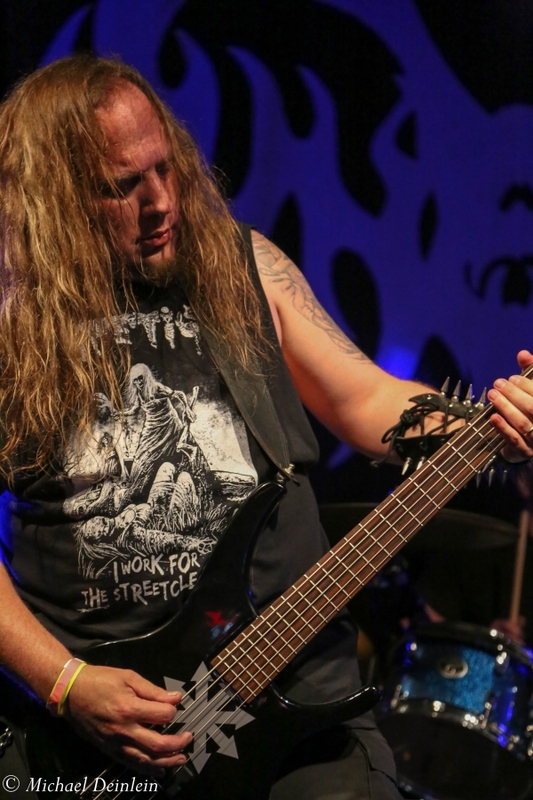 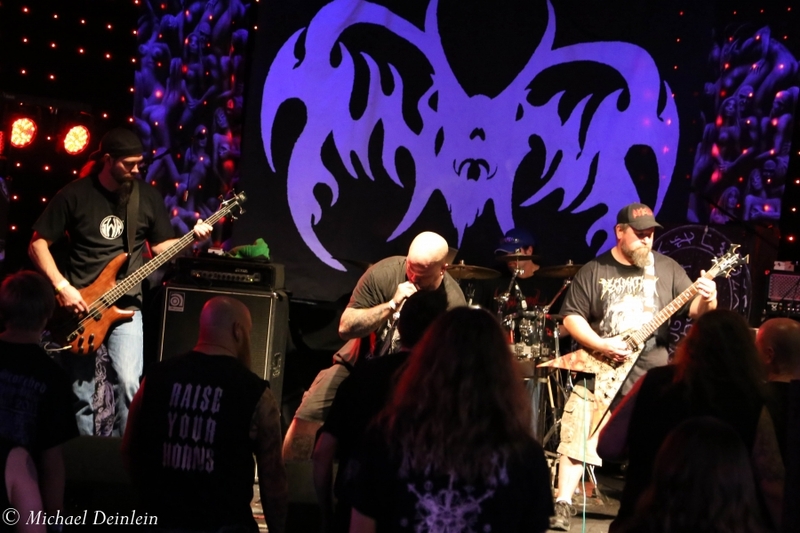 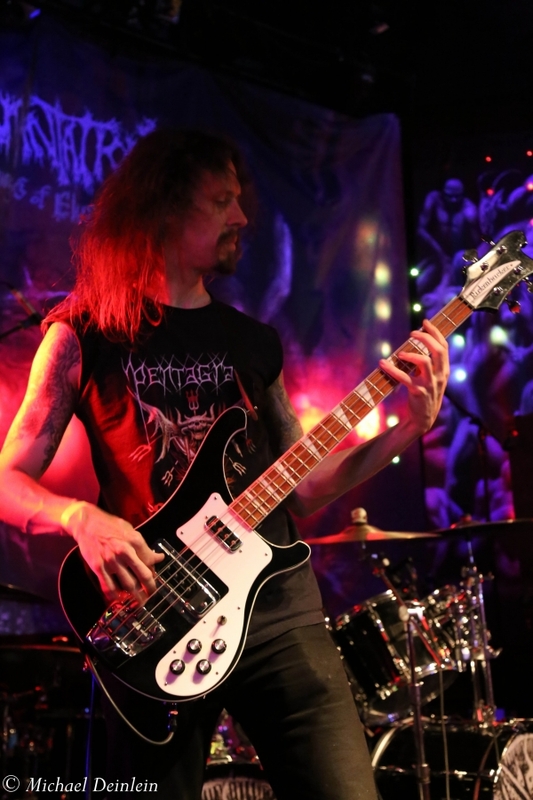 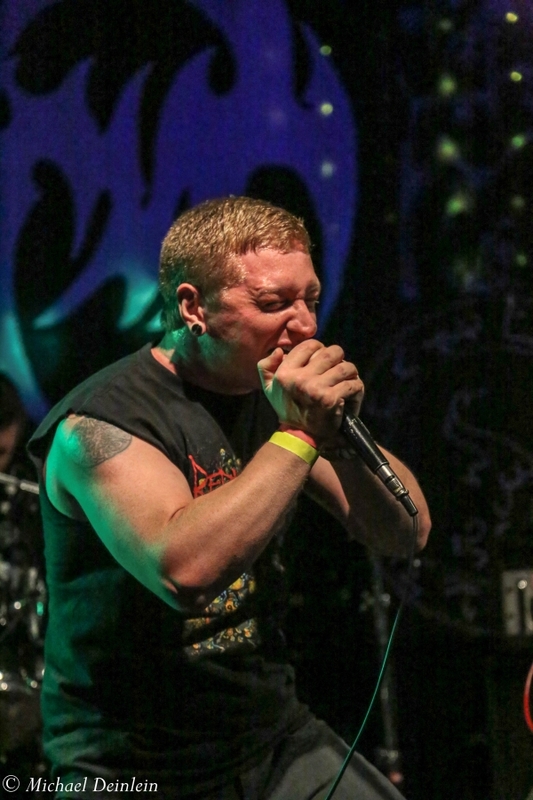 An incredible assembly of local death metal groups performed in support of Incantation and Funerus, includingÂ AbominationÂ from Elizabethtown, KY. 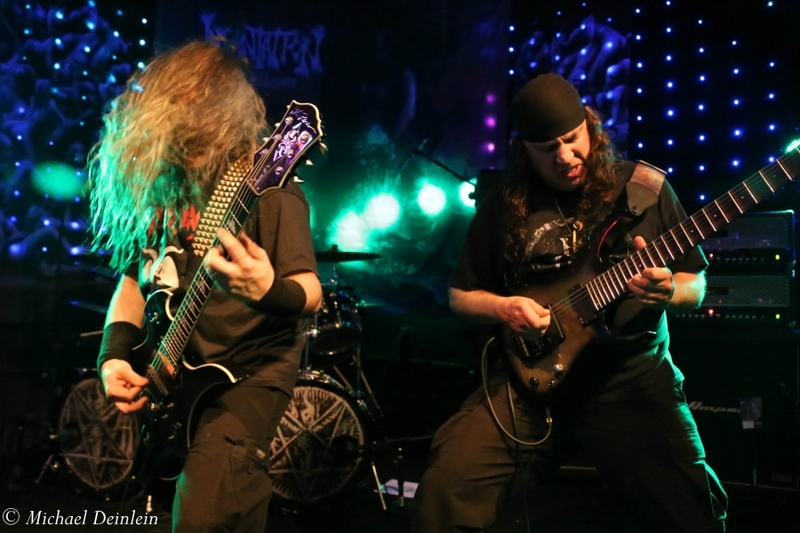 They have been providing unrelenting death metal sounds for more than two decades, and were a perfect precursor to Incantation. 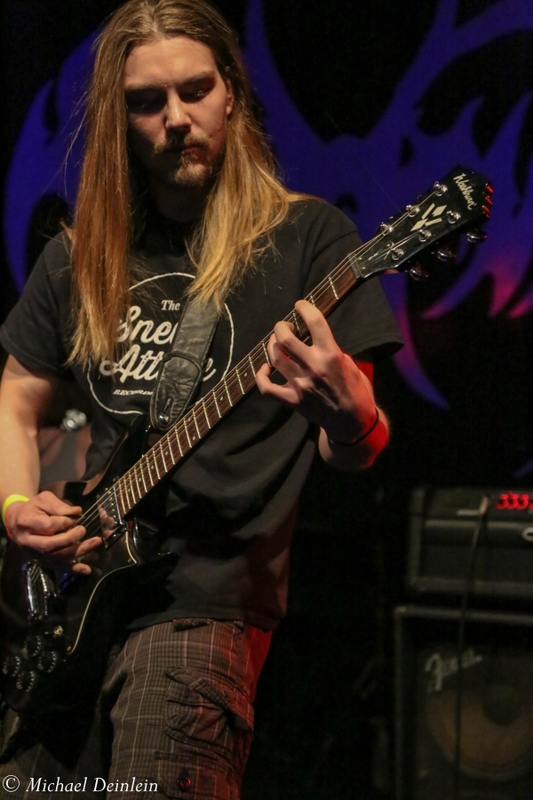 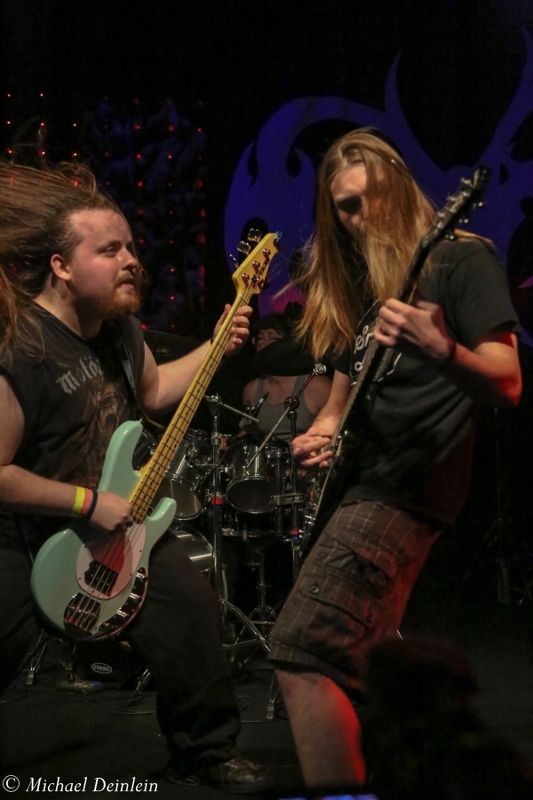 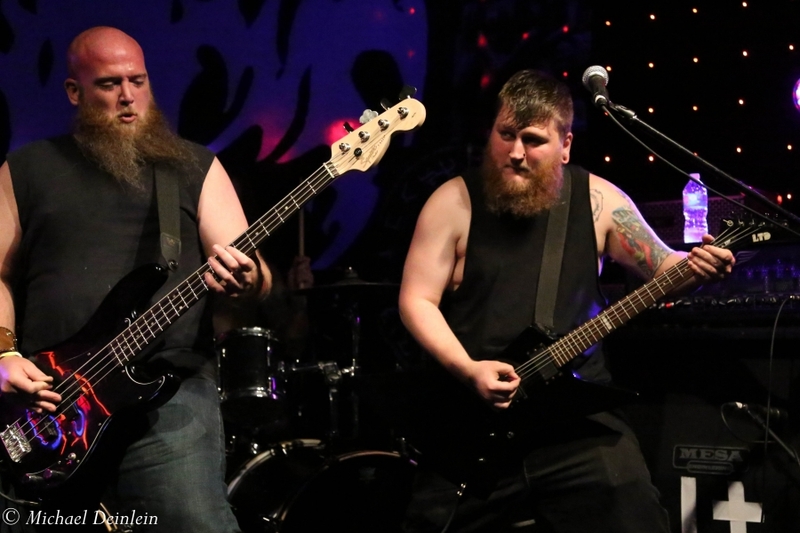 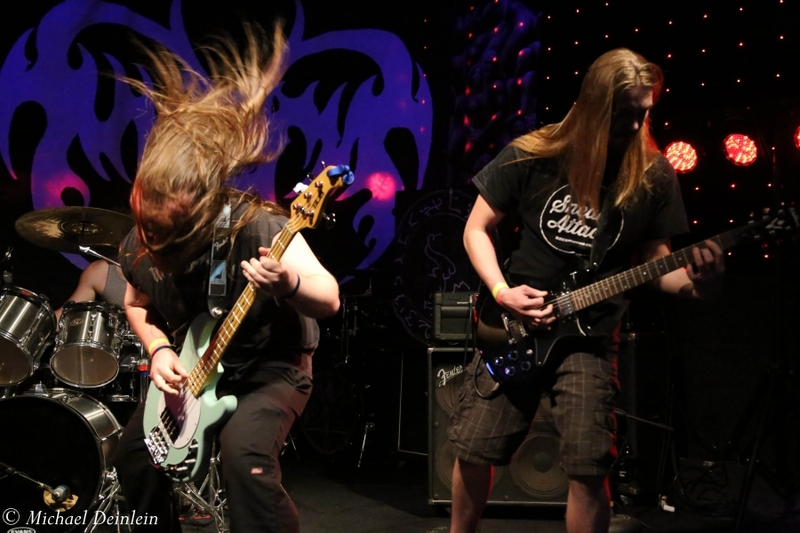 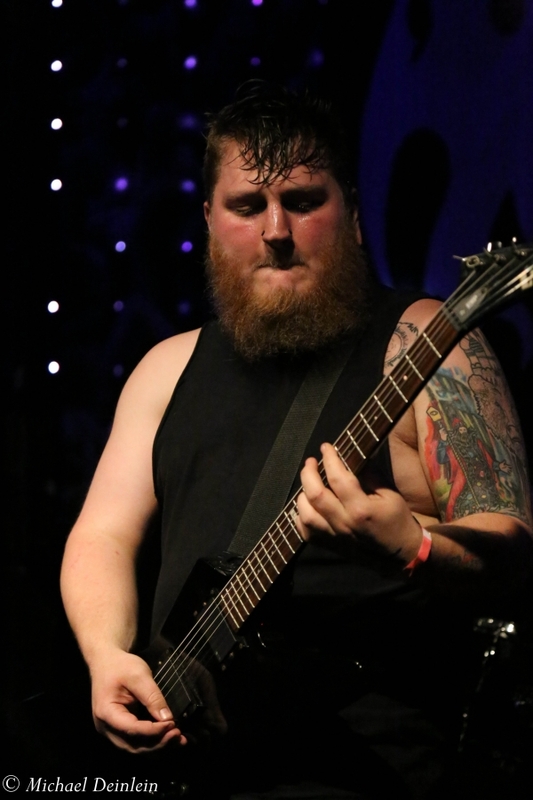 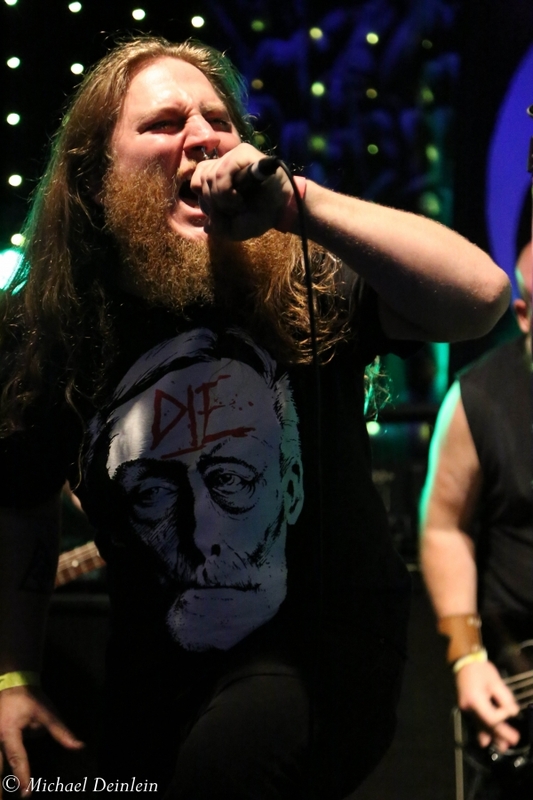 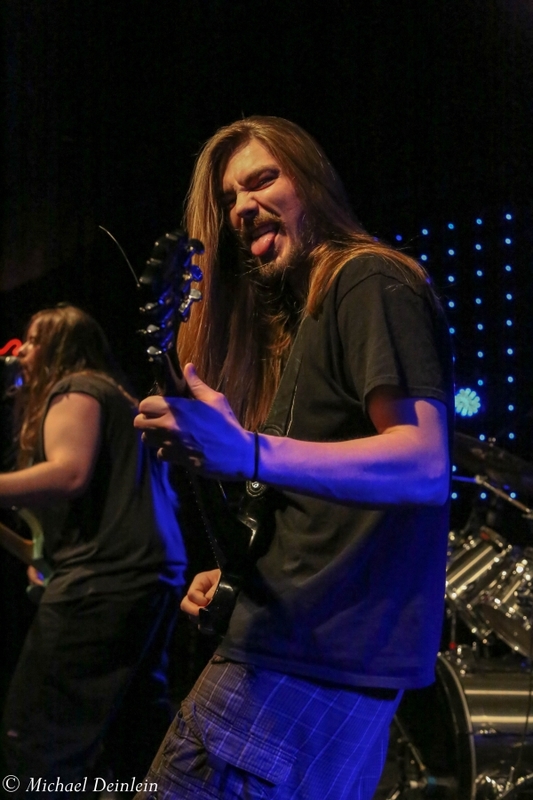 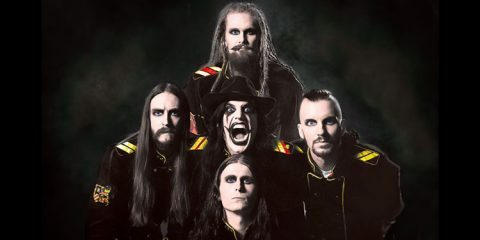 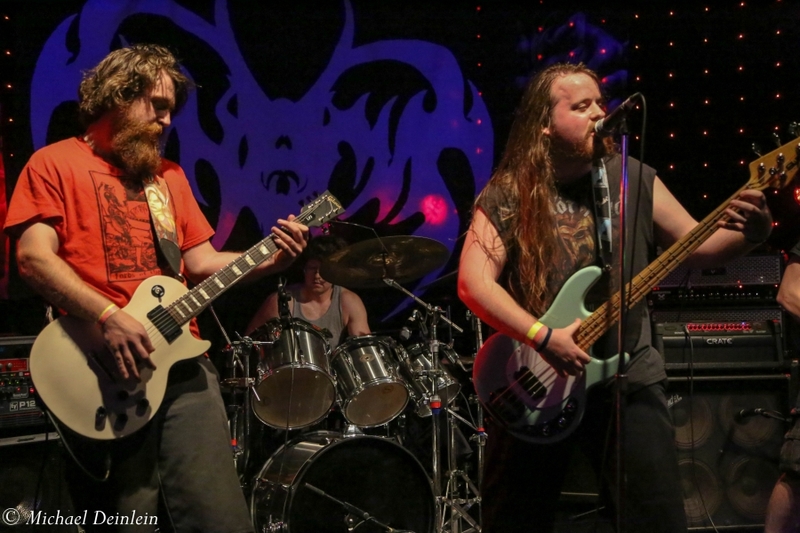 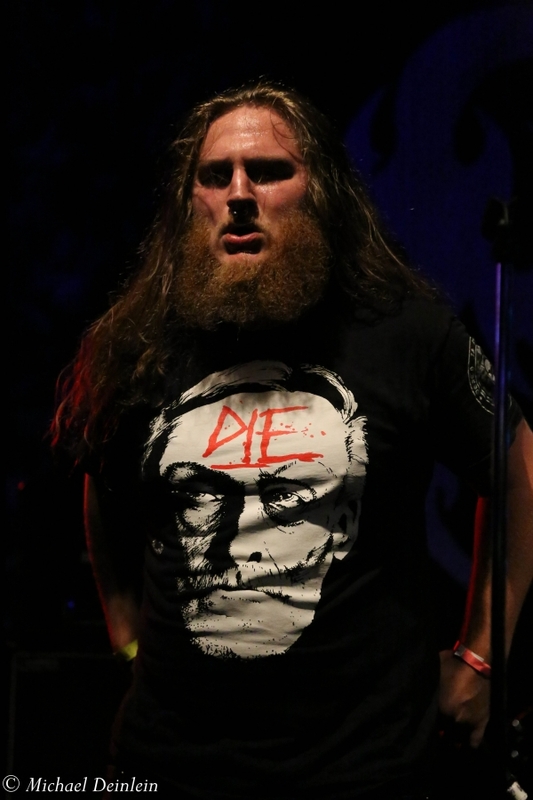 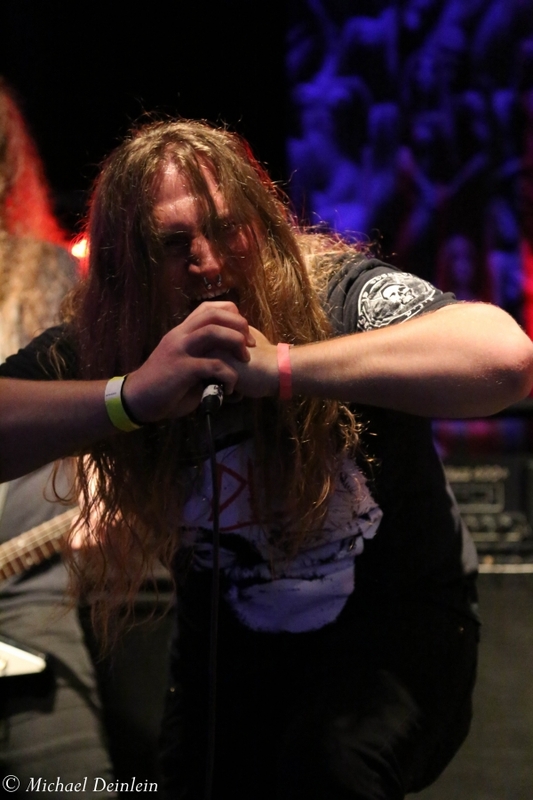 Created to Kill,Â hailing from Versailles-Lawrenceburg, KY, were performing their first show in over two years and provided an ample supply of metal, as well. 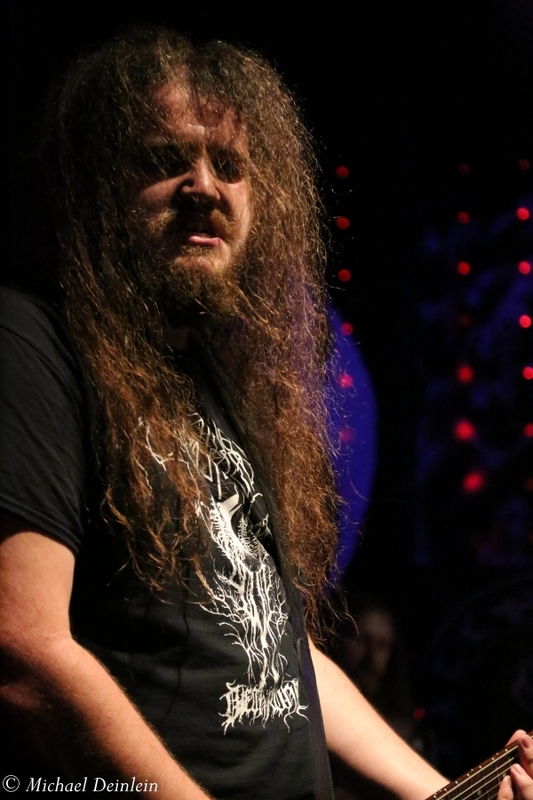 Esoteric Burial from Louisville, KY,Â provided plenty of black/death metal along withÂ Theories of the Apocalypse from Lexington, KY, and opening the night’s festivities wereÂ Gorgy from Franklin, KY.